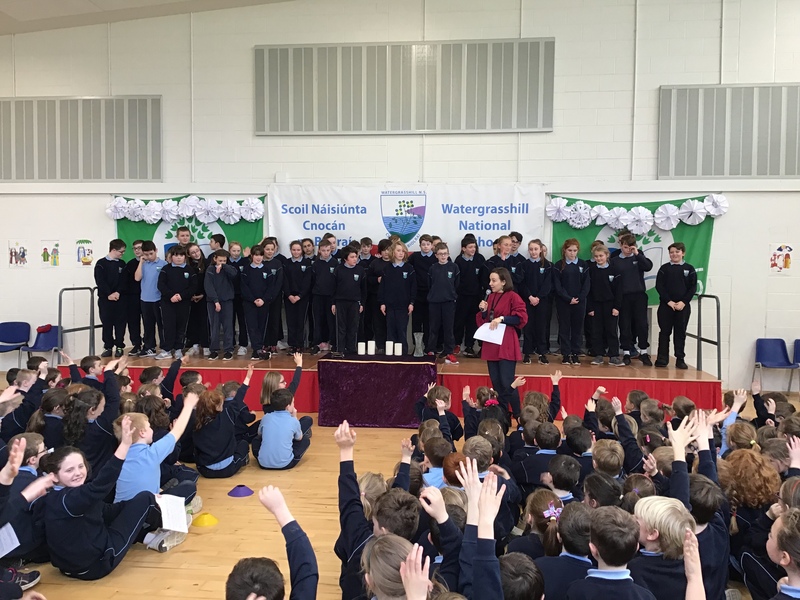 A big thank you Ms. Warner and her third class for putting on a beautiful Easter Service in the Halla for the whole school on Friday 12th April. 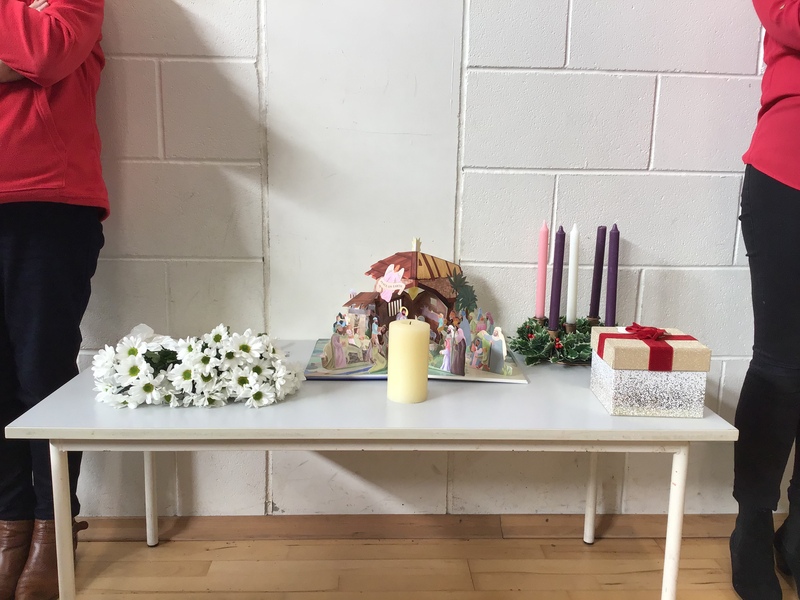 It was a really wonderful, peaceful and holy service in which all the school were invited to attend. 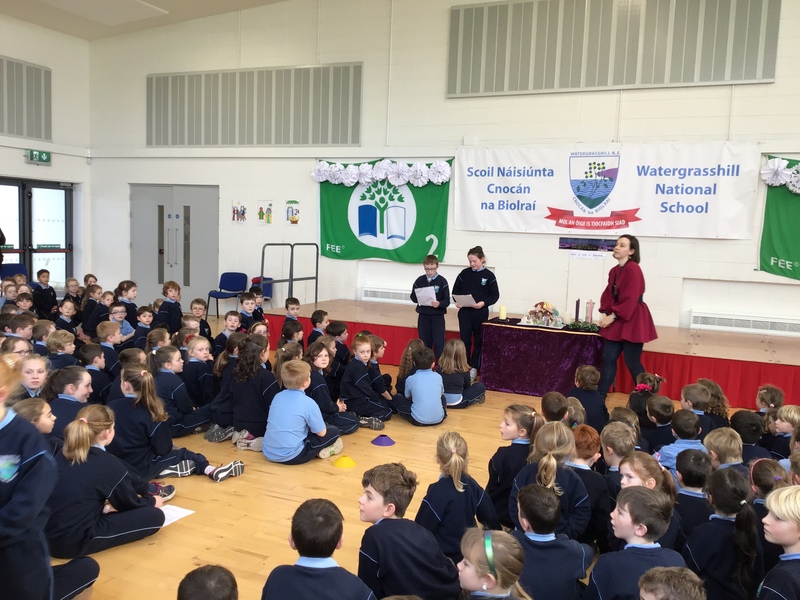 Third class acted out the story of the Risen Jesus and everyone there acknowledged what a wonderful job they did! 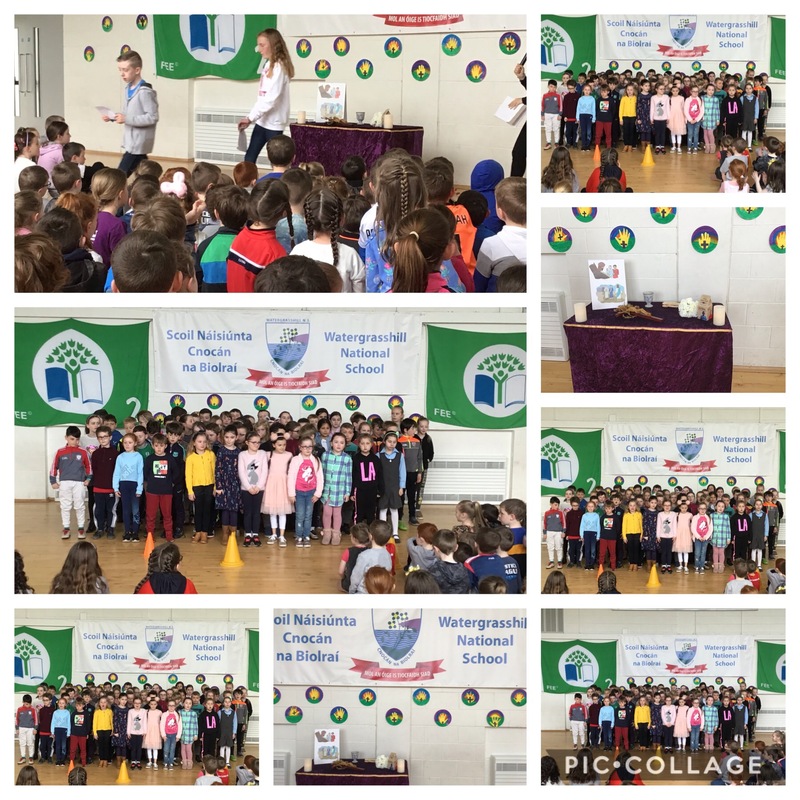 Thanks to all the readers and to second class who sang so beautifully! 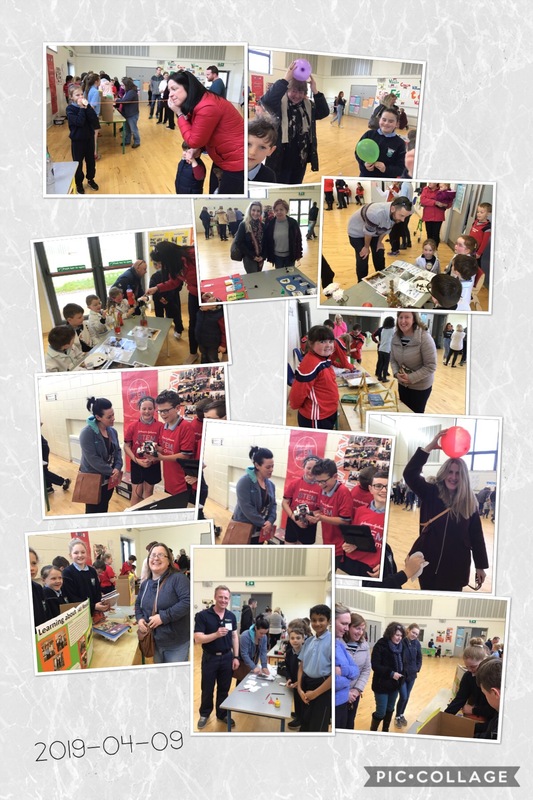 As part of our application for the SFI Discover Science & Maths Award, we held a Science display. 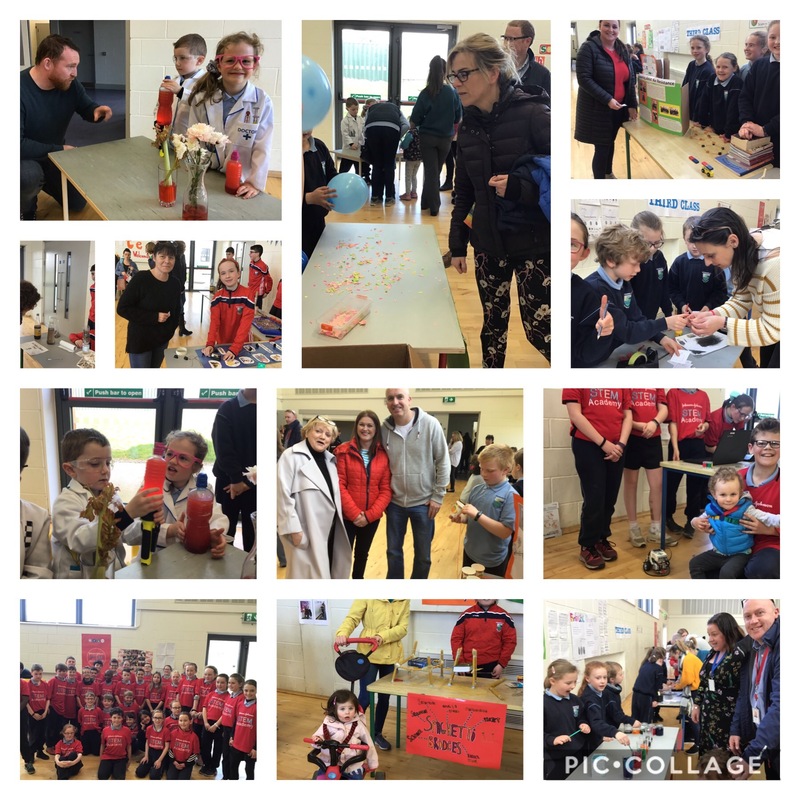 This was used to showcase to the community our Science, Engineering, Technology and Maths (STEM) work carried out during the year. 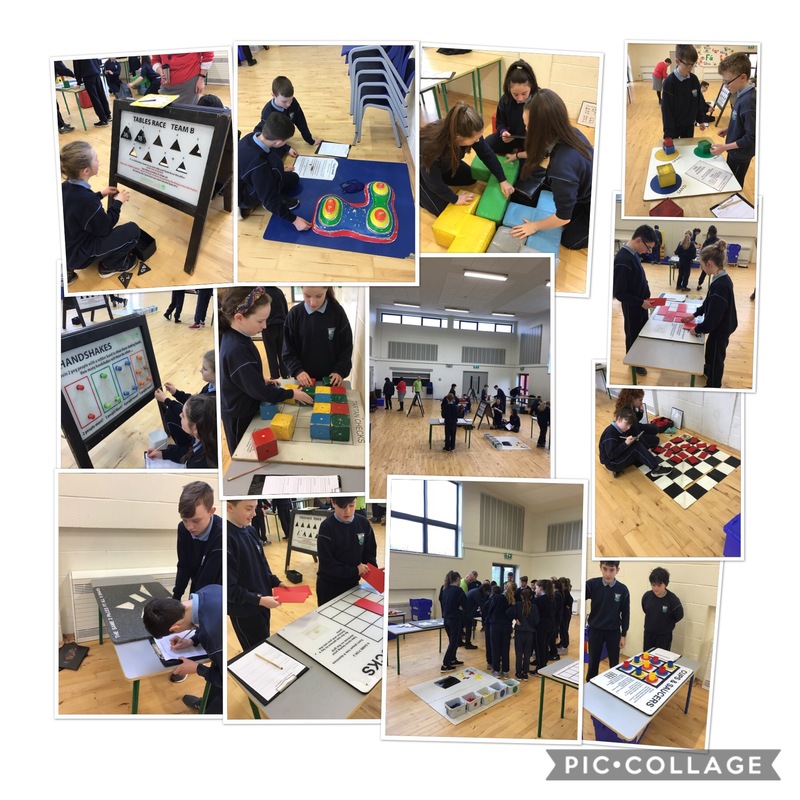 The children thoroughly enjoyed presenting their Science projects to the parents and community of Watergrasshill! A massive thank you to Mrs. Looney who put in an enormous amount of work over the past few months to get this application ready!! 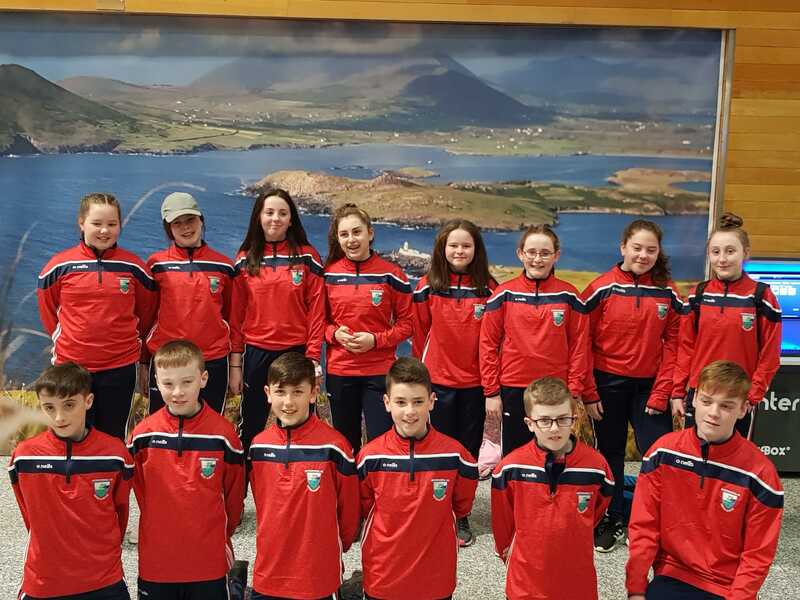 On Thursday 28th March, we excitedly arrived in Cork Airport at 6.00am to catch our 7.15am flight to London. When we arrived at Heathrow, our bags were collected by our host school, St. George's Catholic Primary School, Harrow. We then continued our journey, via tube, to the Science Museum. This was a fascinating building with so much to see and do. 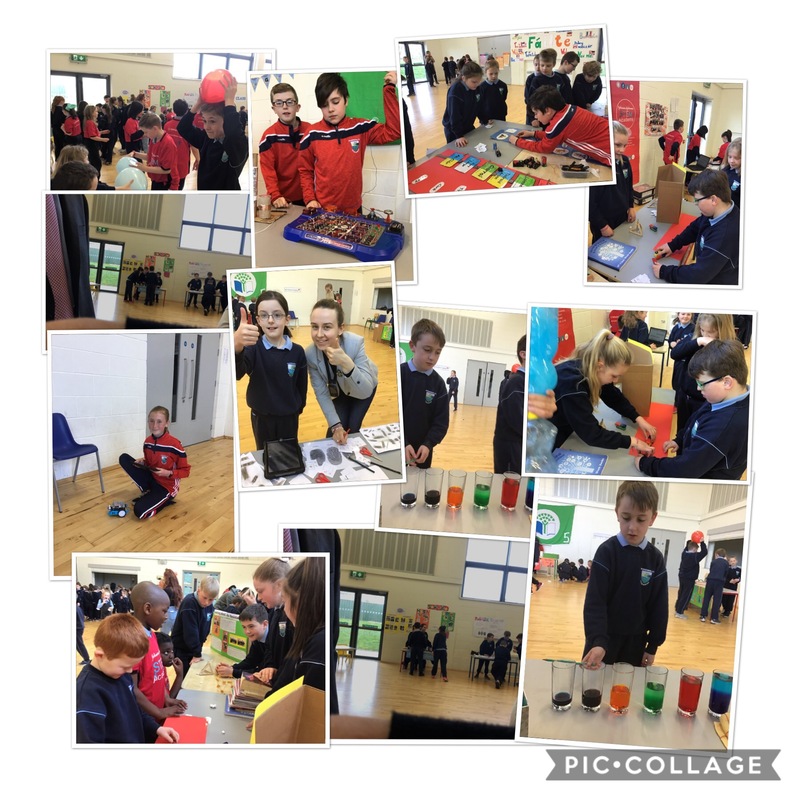 Everyone had a great time in here looking at all the interesting items on display. 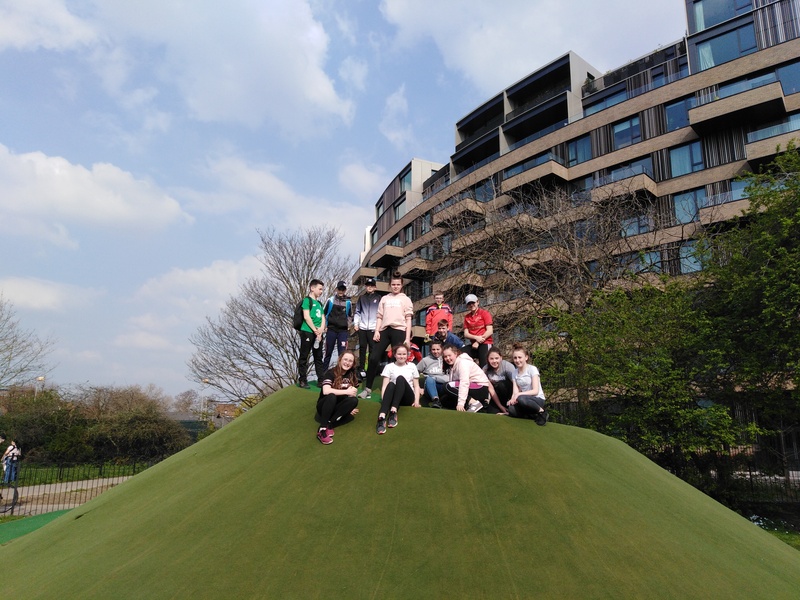 After this, we got back on the tube and went to Lily Whites Sports Shop. This shop has 7 floors and caters for every sport you can think of. A few pound was spent in there!! Before we went to see Aladdin, we stopped off for lunch in McDonald's! This was delicious as everyone was hungry after our early start that morning. When the food was devoured by all of us, we proceeded to a theatre in the Soho area of London in which we saw the wonderful musical Aladdin. This was absolutely fantastic and the ice-cream was tasty too!! 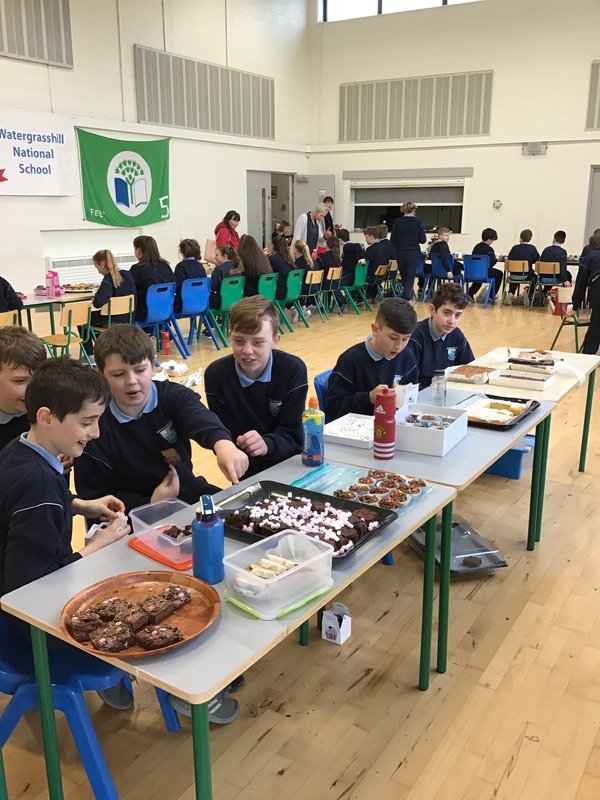 By the time we arrived back to St. George's at 18.30 to meet our host families, we were delighted to see all the boys and girls from the host families waiting for us. 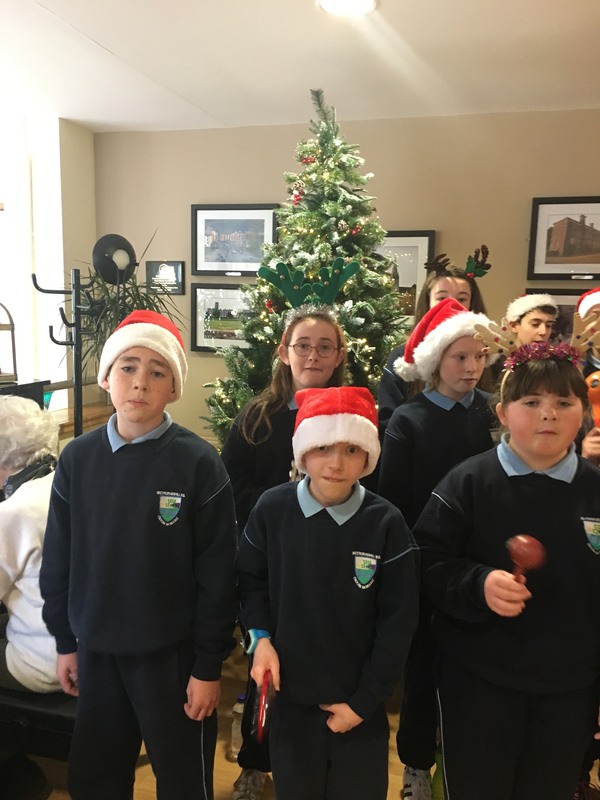 We went back to their houses and had great fun with them all! 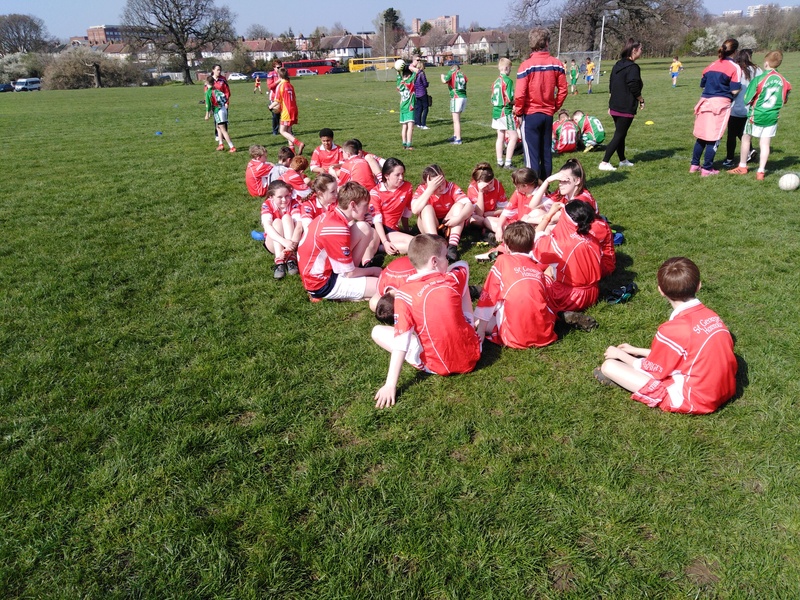 On Friday, we participated in a Gaelic Football Blitz in Tír Conaill Gaels grounds in which 11 teams took part. These were made up of various London schools, ourselves adn another Cork school from Passage West. 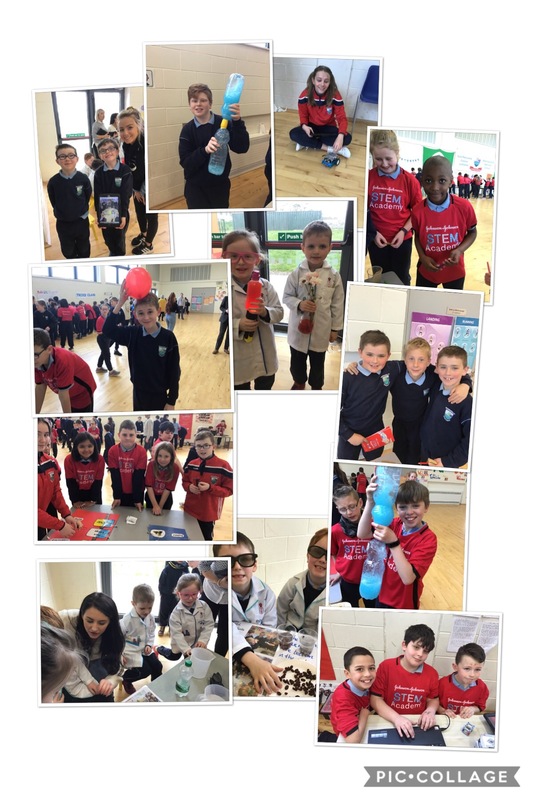 The standard produced on the day by all teams was of high quality. 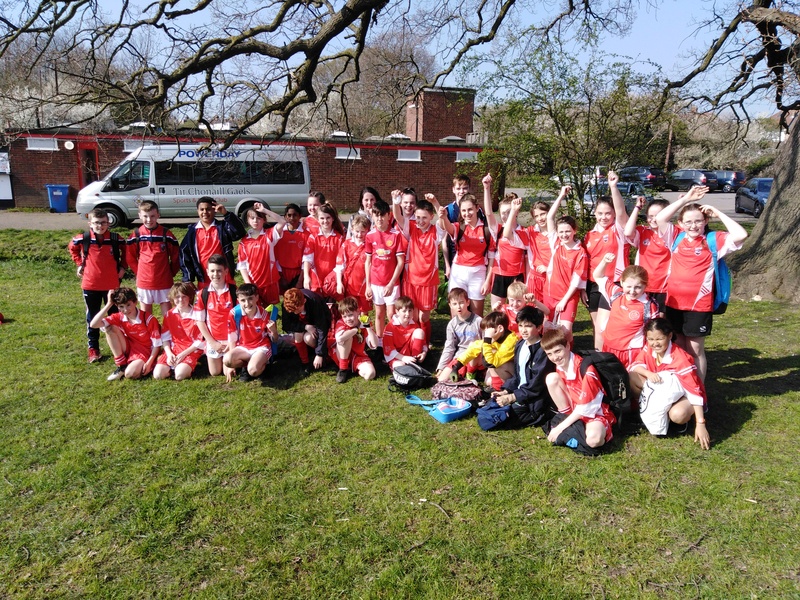 Everyone played at least 4 games and with the sun shining beautifully all day, it was a fantastic day! We were free to spend time with the host families then for the evening. All of us went to Wembley so it was great to meet up with everyone. 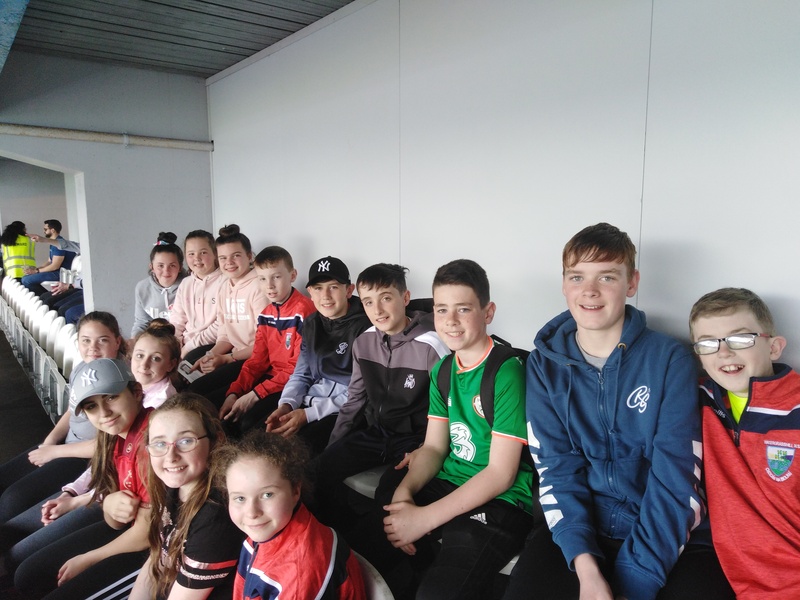 On Saturday, we went to a Championship match between Queens Park Rangers and Bolton Wanderers. This was as great game in which there were plenty of chances for both teams but eventually, Bolton ran out the victors on a 2.1 scoreline. Before the game, we went shopping to Westfield Shopping Centre! It is an enormous shopping centre and if you went back there everyday for a month, you still would not get to see all of it! After the game, the host families met us at the tube and brought us in and around the city centre. Again, this was a wonderful experience as there was a great buzz and atmosphere around! We also got to eat in Pizza Express!! 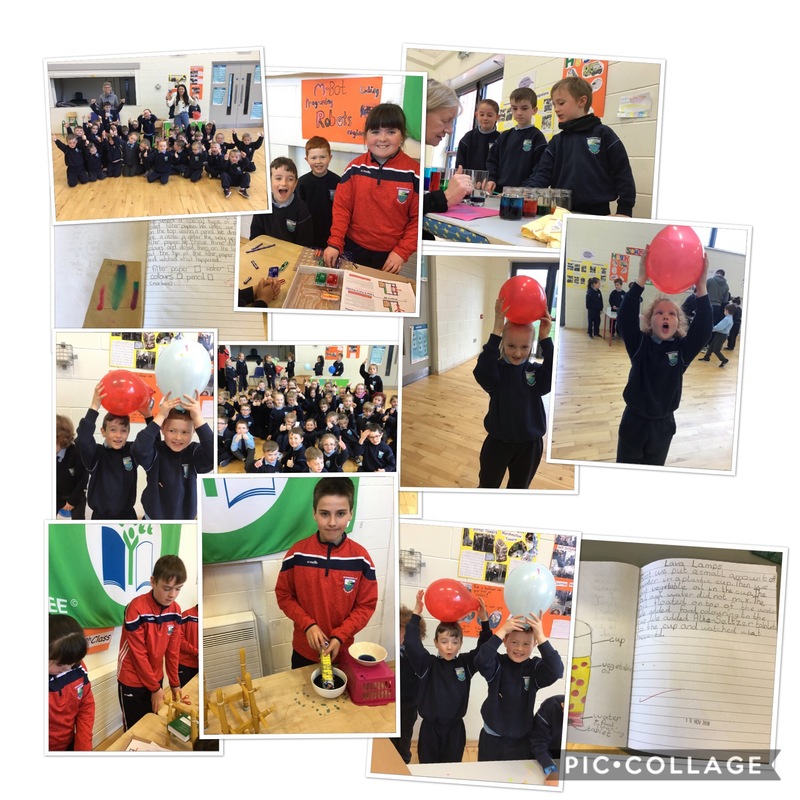 On Sunday 31st March, our magnificent journey came to an end! We were all so disappointed that we had to go home. 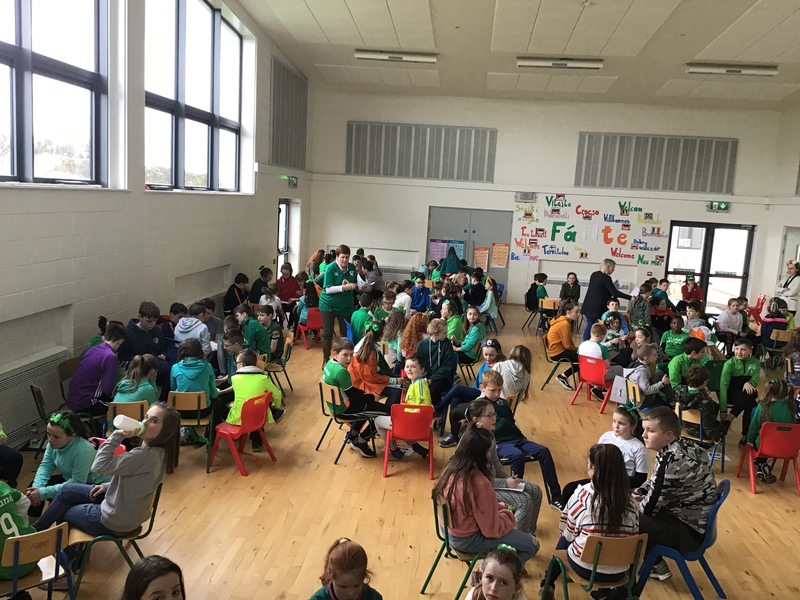 After a very exciting and wonderful weekend in London, we landed in Cork Airport, safe and sound where we were all happy to see our families waiting for our arrival. What a fantastic trip and a wonderful experience! 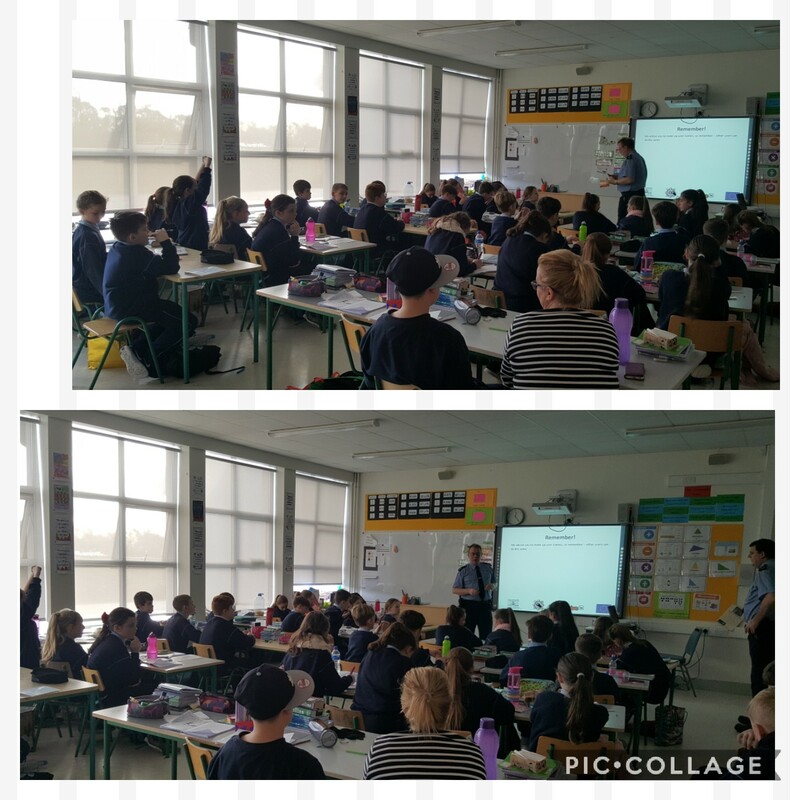 We, 6th class, must say a massive thank you to all the staff who accompanied us and made us feel safe in the busy environment of London. 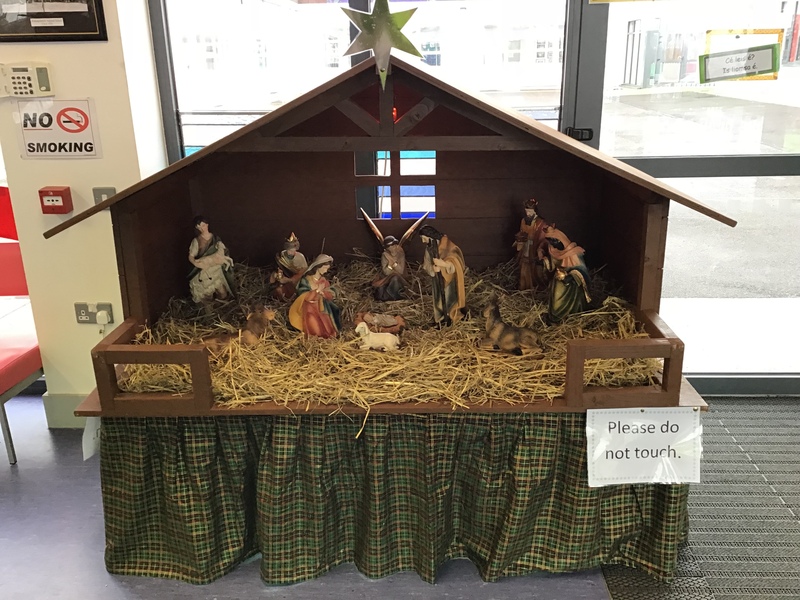 Thank you to Master O'Brien, Mr. Prout, Mrs. Newman, Ms. Mulholland and Gillian. 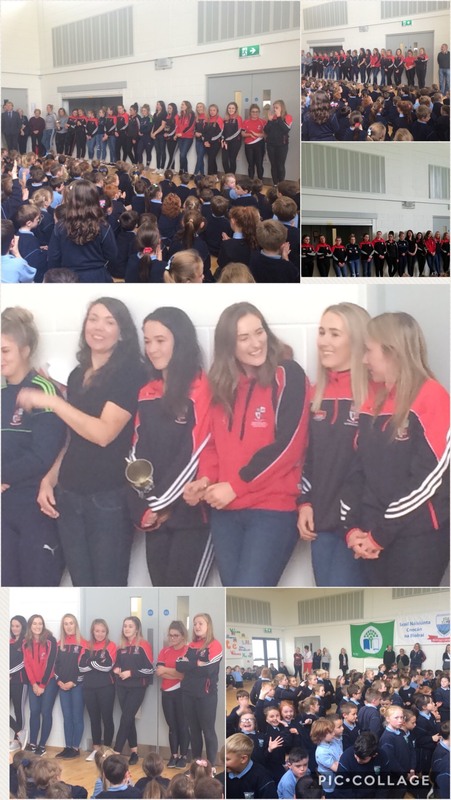 Also, a massive thank you to all the staff at St. George's and especailly to all the host families. Without them, this trip would not go ahead. We know from chatting to the people mentioned above that planning for next year's trip is already underway!! 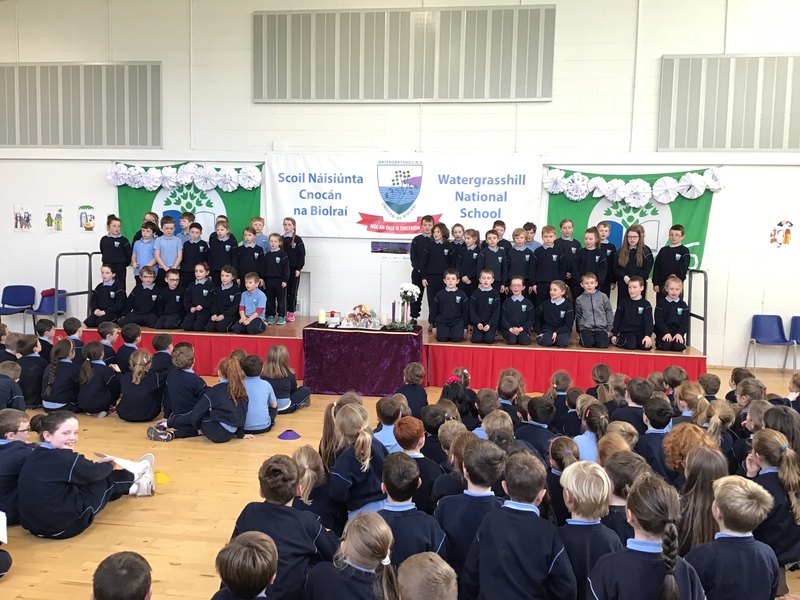 The Sciath na Scol hurling and camogie fixtures are now online in the relevant section. 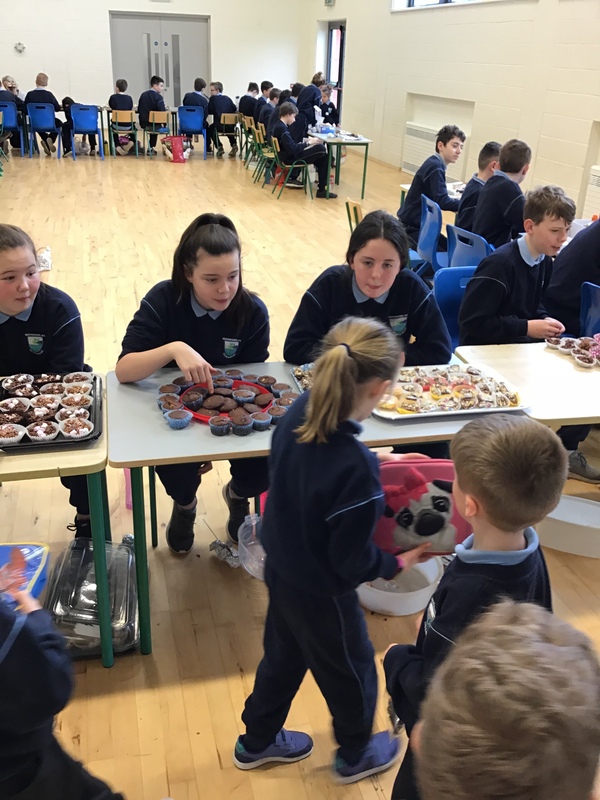 Best of luck to all involved! 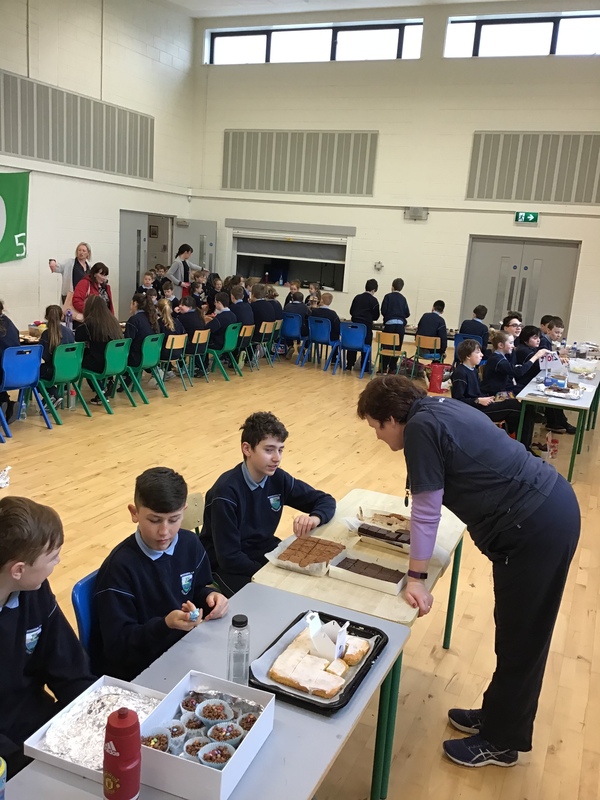 On Friday 15th March, we held a Tráth na gCeist in the halla from 3rd to 6th class. 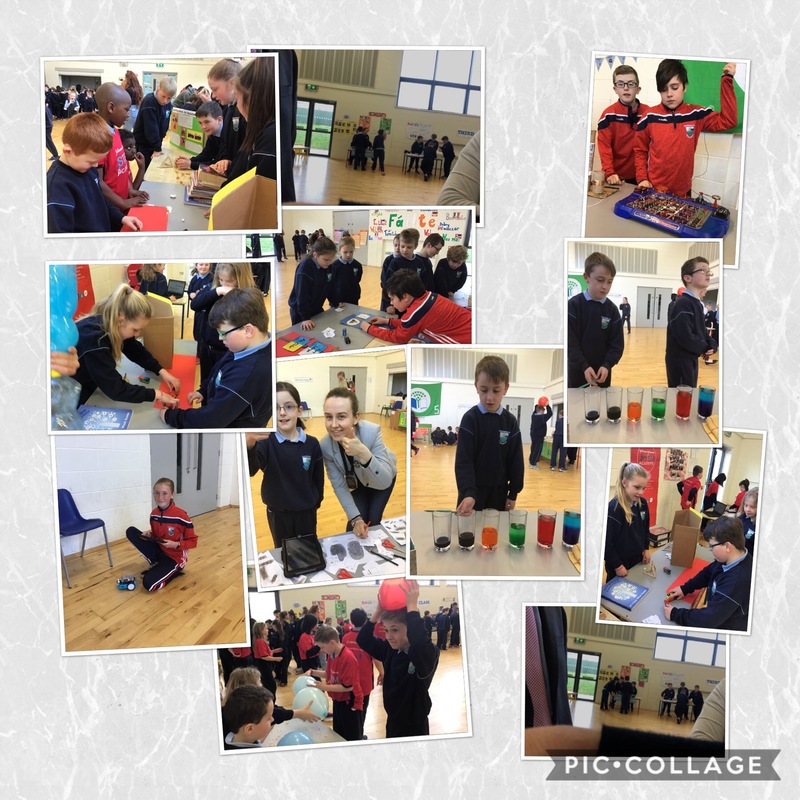 It was a massive success and all the children really enjoyed it. 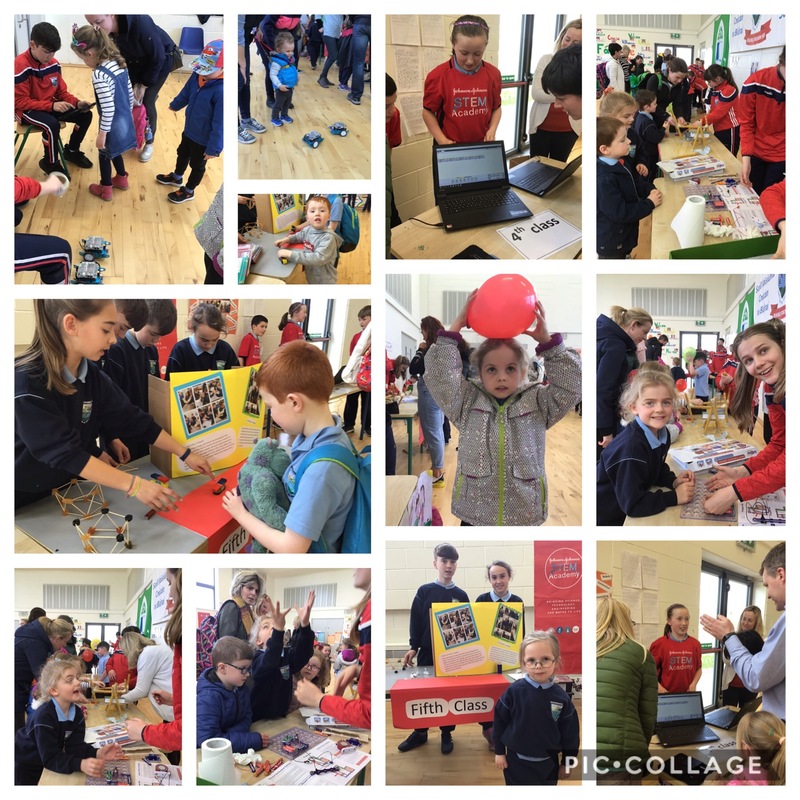 Well done to all who participated in it and a special thanks to all the staff who helped out on the day! 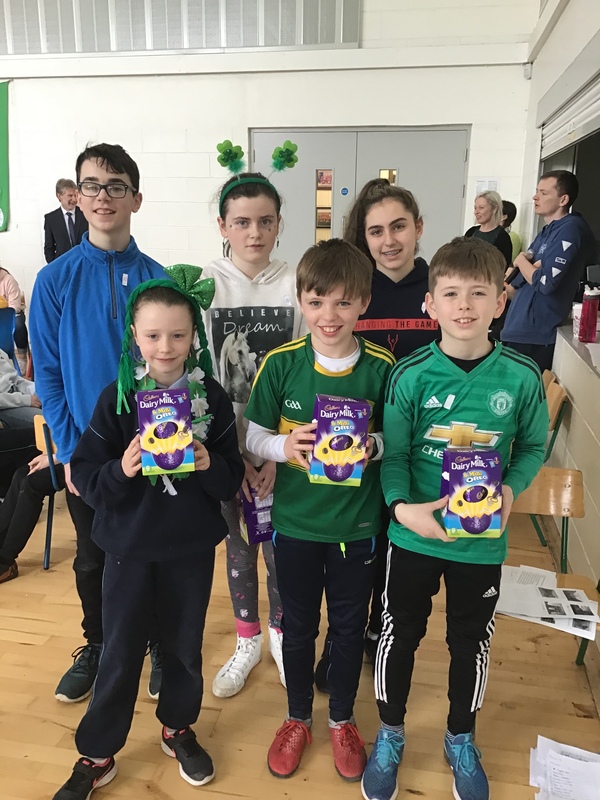 A big congratualtions to the winning team who had a massive total of 102!! 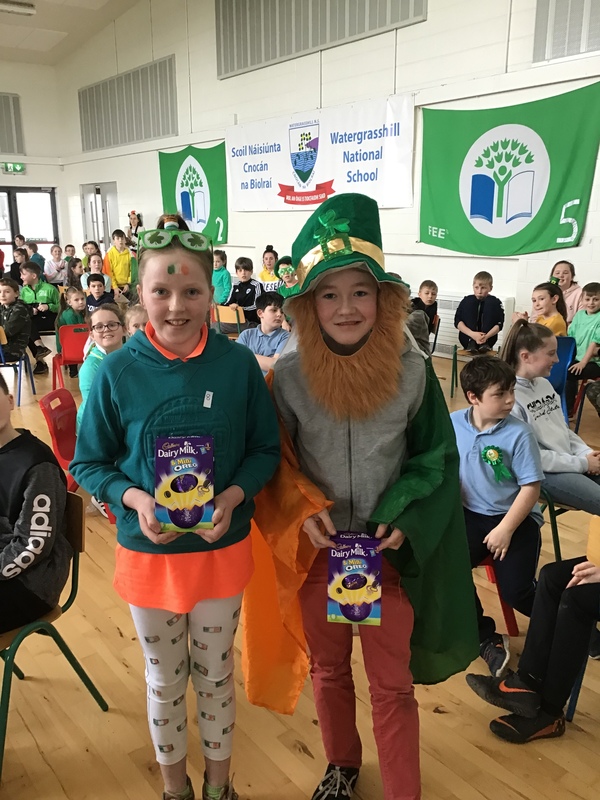 Also, well done to Ali-Mae and James for winning the best dressed prizes! 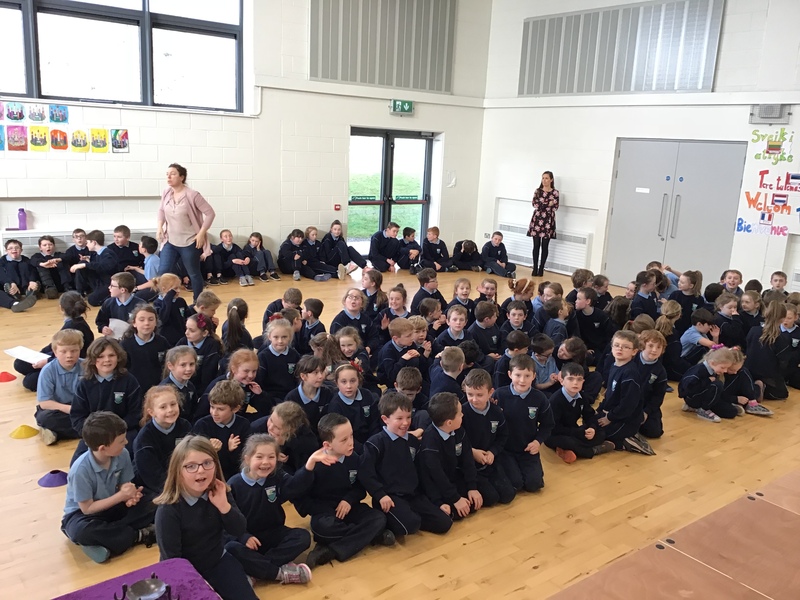 Well done to all the boys and girls in second class who went to the church on Thursday 7th March for their First Confession! 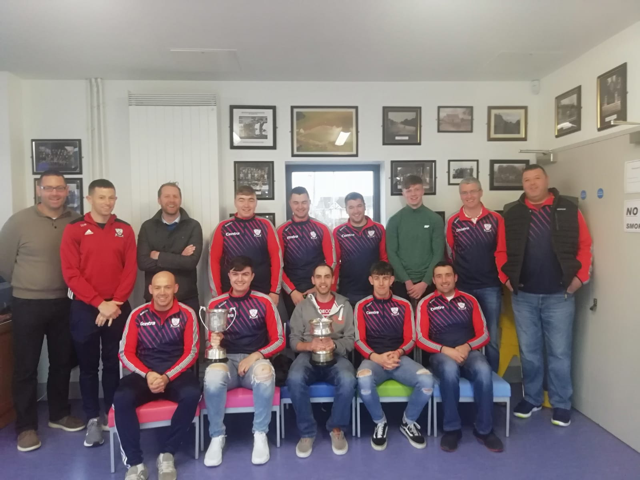 This is another step on the ladder to their big day on Saturday 4th May! 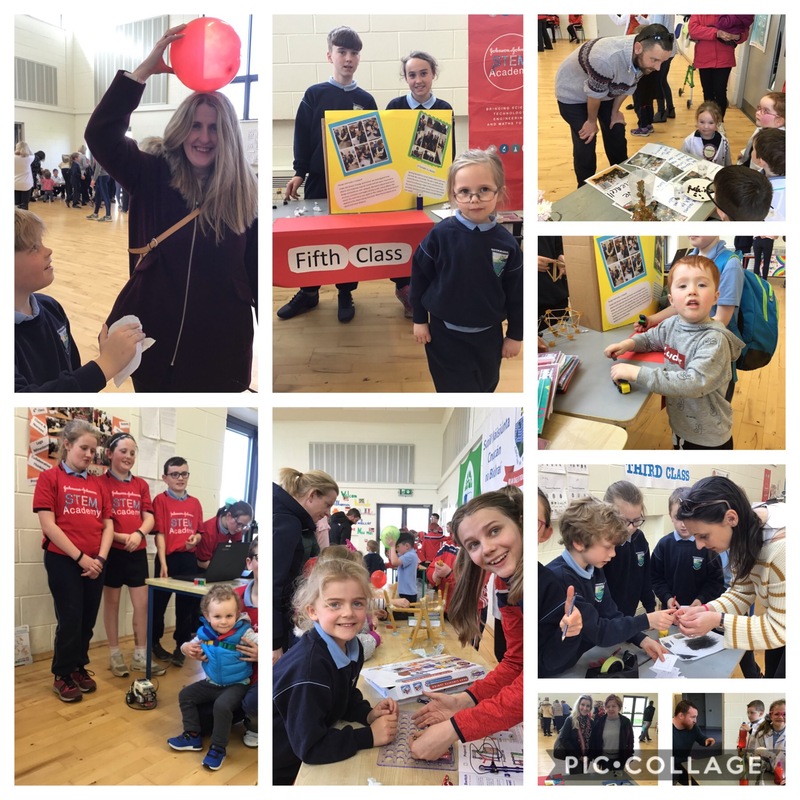 A big thank you to Ms. Fitzgerald, Ms. English, Áine and Eileen for all their help in preparing the children for this big day! 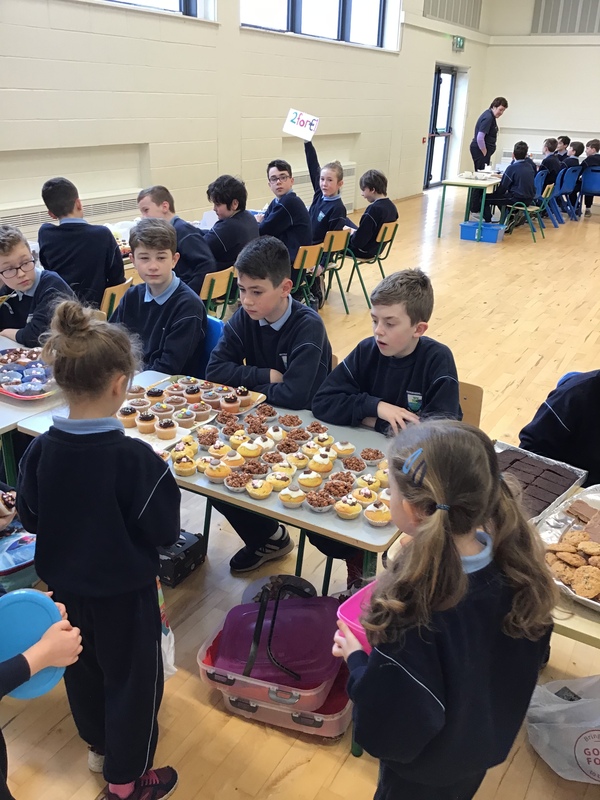 On Friday March 1st, both 6th classes organised a Cake Sale for their upcoming trip to London. 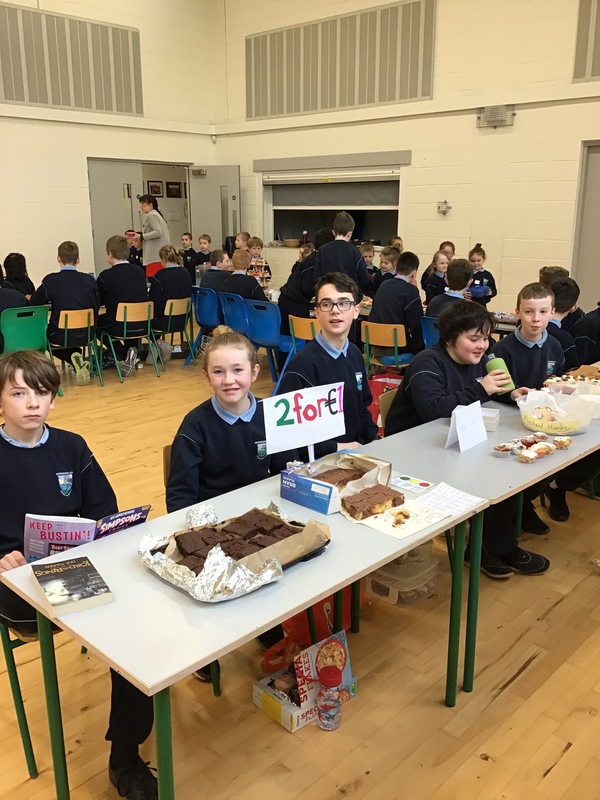 It was an enormous success with over €1,400 raised. 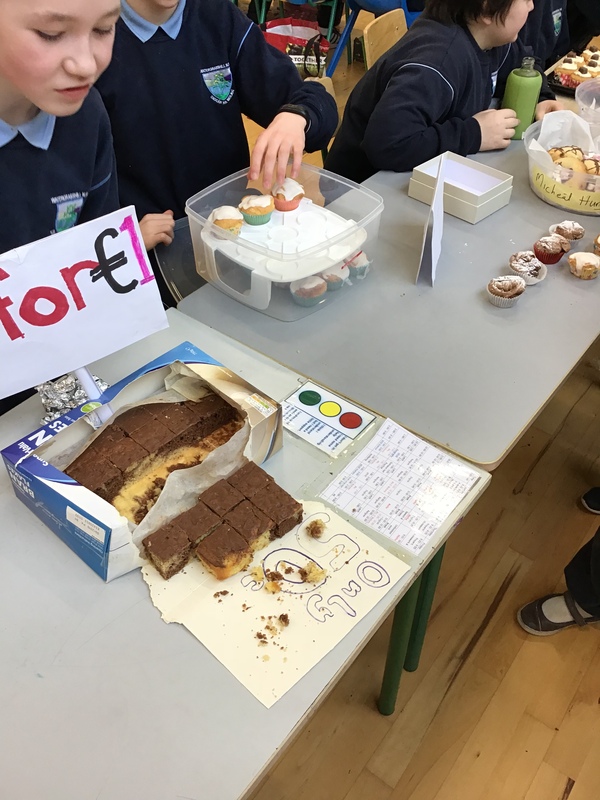 A massive thank you to everyone who was involved in it from the bakers, to the organisers and of course to all the boys and girls who contributed by purchasing the beautiful cakes. 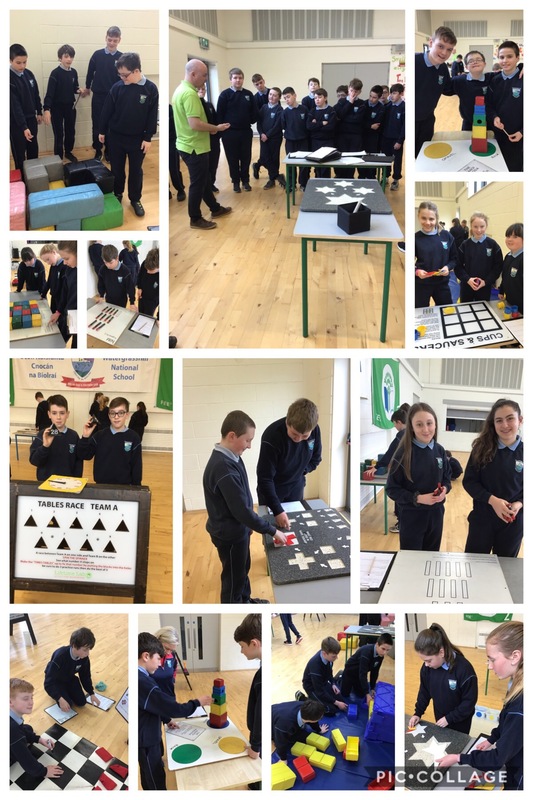 Mrs. Looney, in conjunction with The Lifetime Lab organised, a Maths Workshop for various classes in the school. 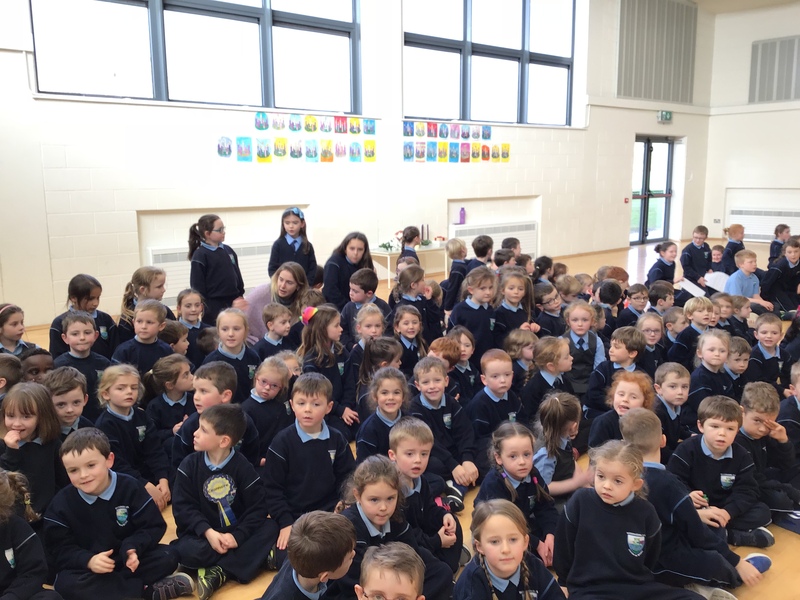 It was a great success and all the children who participated in the activities were happy leaving the Halla. 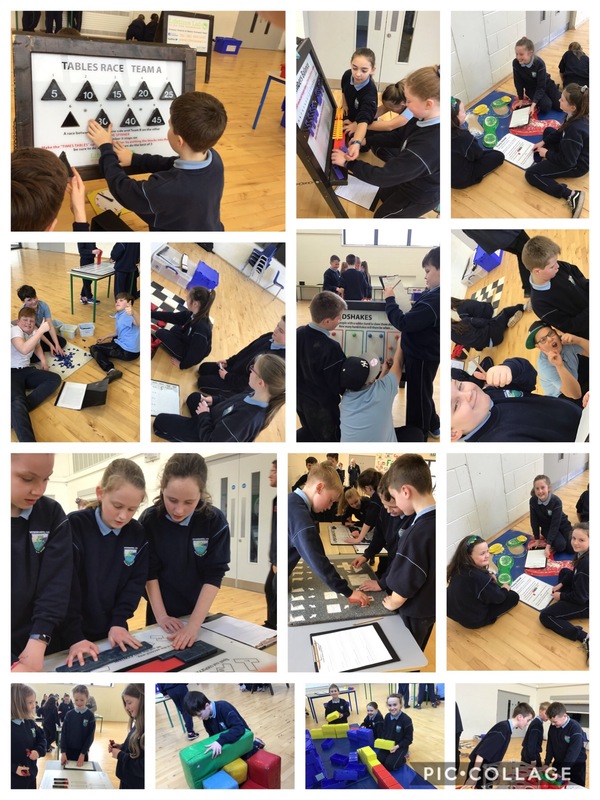 The workshop aimed to demonstrate and explore a multisensory approach to the learning of mathematics and was a stimulating and fun introduction to primary maths, motivating pupils to engage primary maths through sight, sound, touch and movement. SAVE A WATT, SAVE A LOT!! 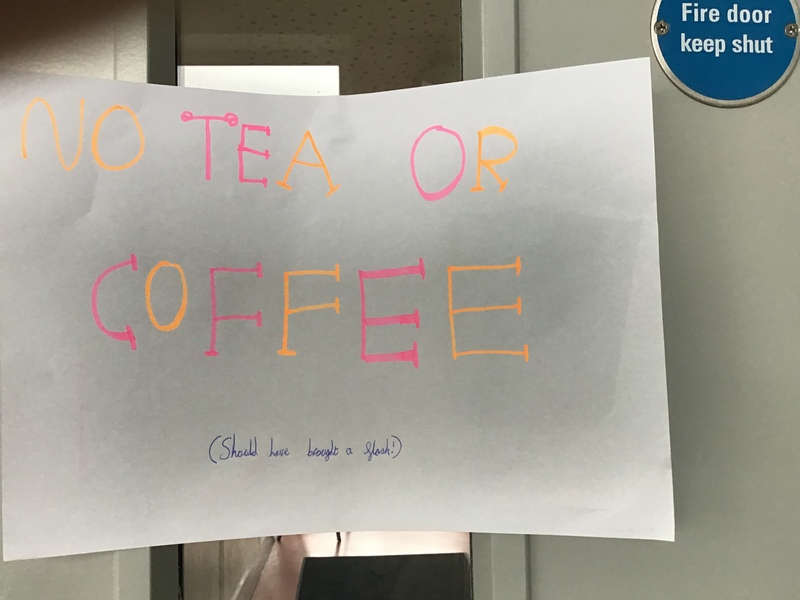 energy conscious! 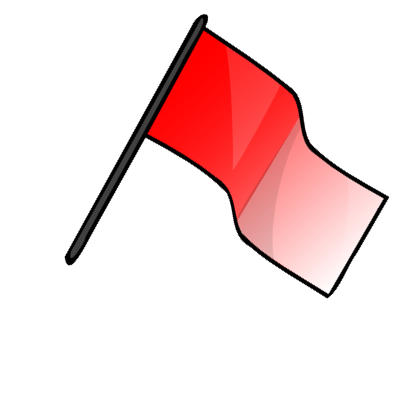 We hope that we will get our 7th flag soon! 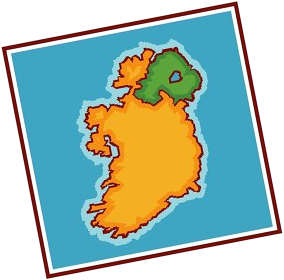 Ireland needs to reduce energy, renewable and greenhouse gases by 20% by the year 2020. 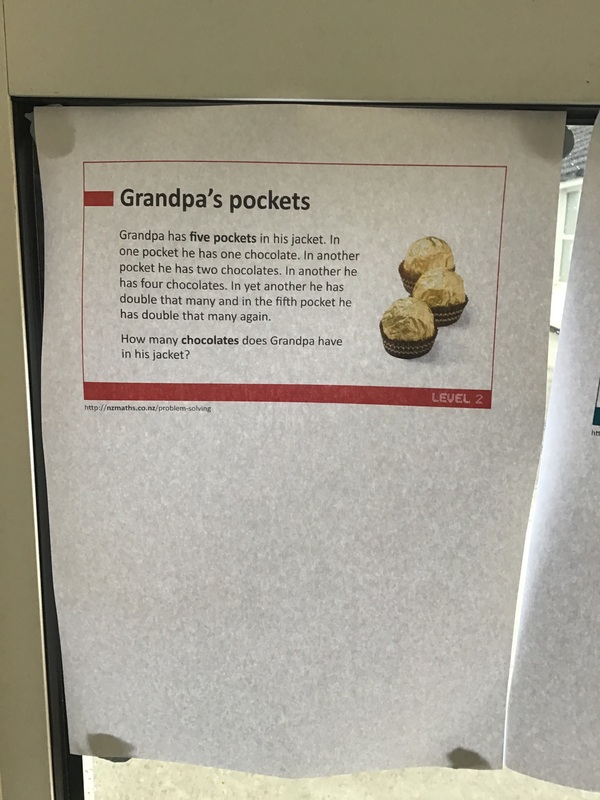 Well done to all who entered our poster competition! 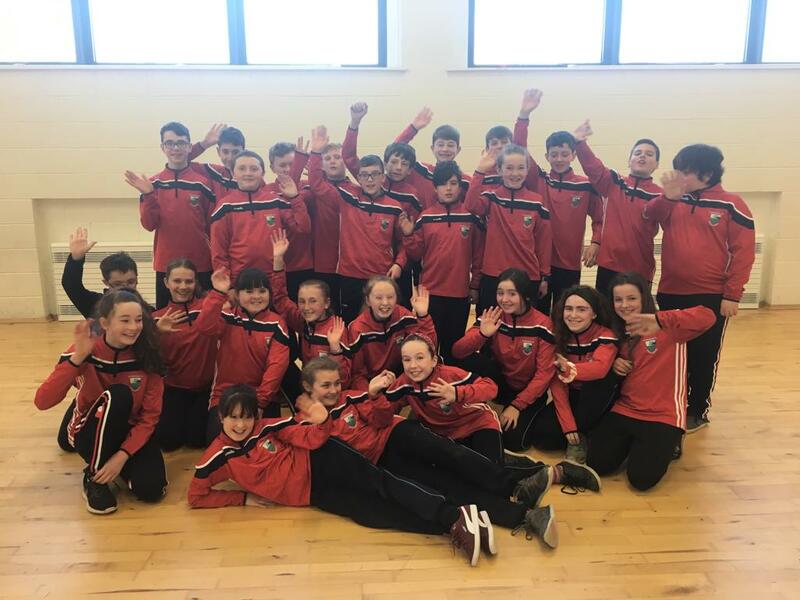 14 of our 6th class pupils will be heading off to London on Thursday 28th March for 3 days as part of a GAA School Exchange. 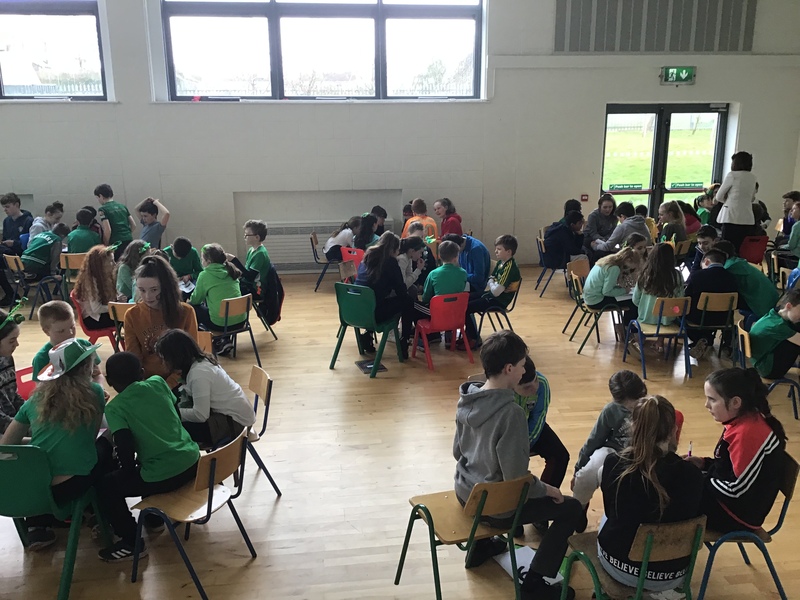 In London, the students will be staying with host families and will visit attractions and play in an International GAA blitz while there. 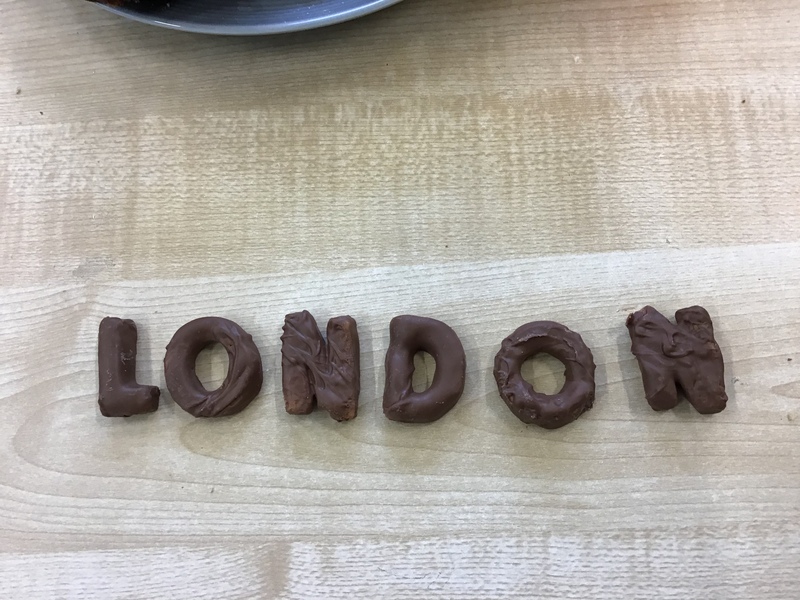 The London school we are paired up with, St. George's Catholic Primary School Harrow, will arrive back here on Friday 7th June and depart on Monday 10th June. 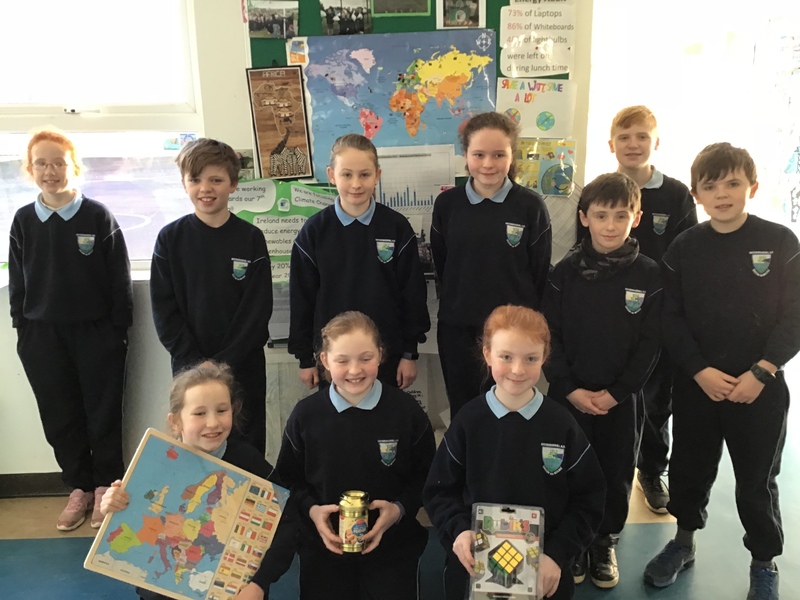 A massive well done and well played to the 4th class boys and girls who played their hearts out in their respective indoor hurling and camogie blitz, which were played on Thursday February 7th. 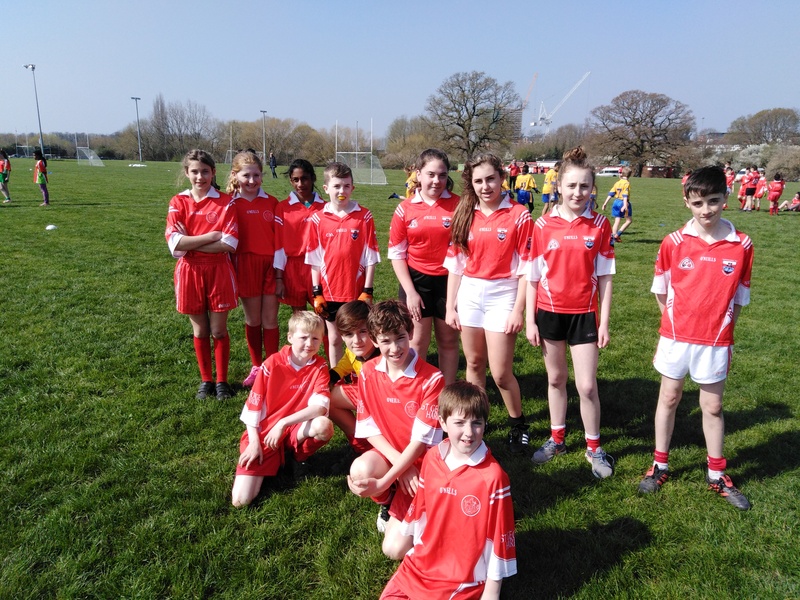 The boys finished runners-up overall and the girls finished runners-up in their group. 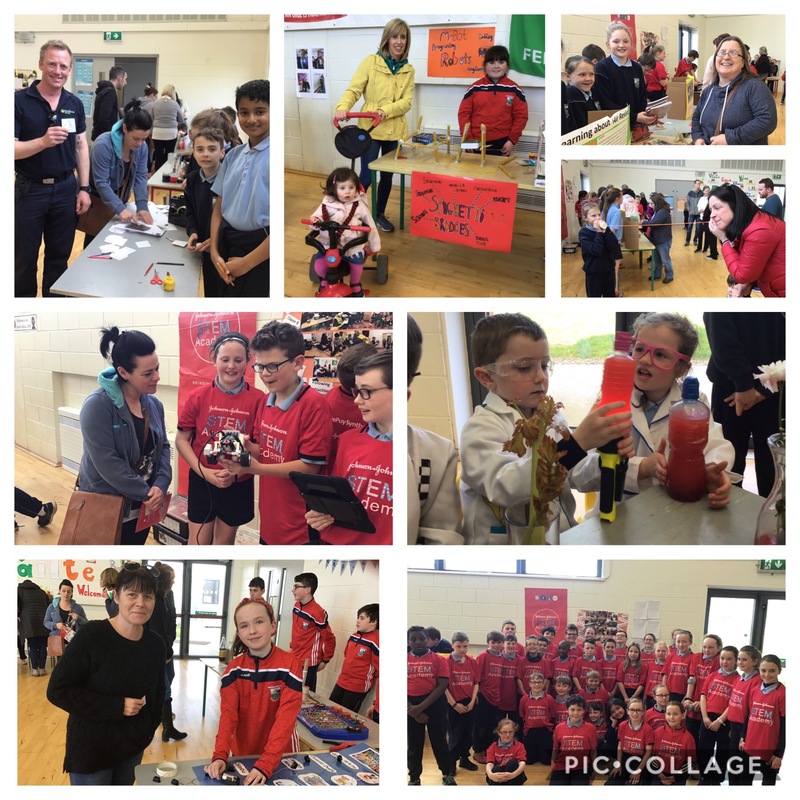 Thanks you to Ms. Mulholland, Mr. Prout, Mr. Mather, Mr. Griffin, Angela and Gillian who looked after the teams on the day. 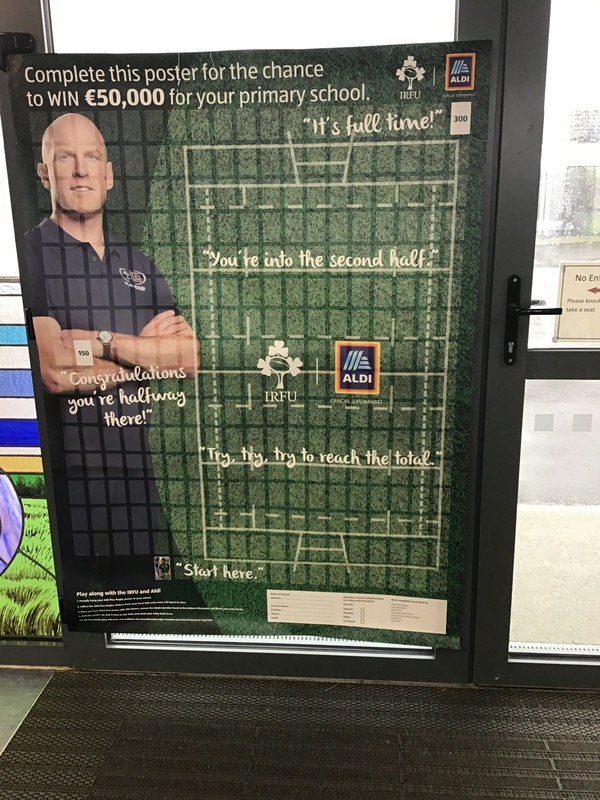 ALDI are currently running a competition in their shops and Watergrasshill NS are collecting stickers, so if you do your shopping in ALDI and spend over €30, you receive stickers. 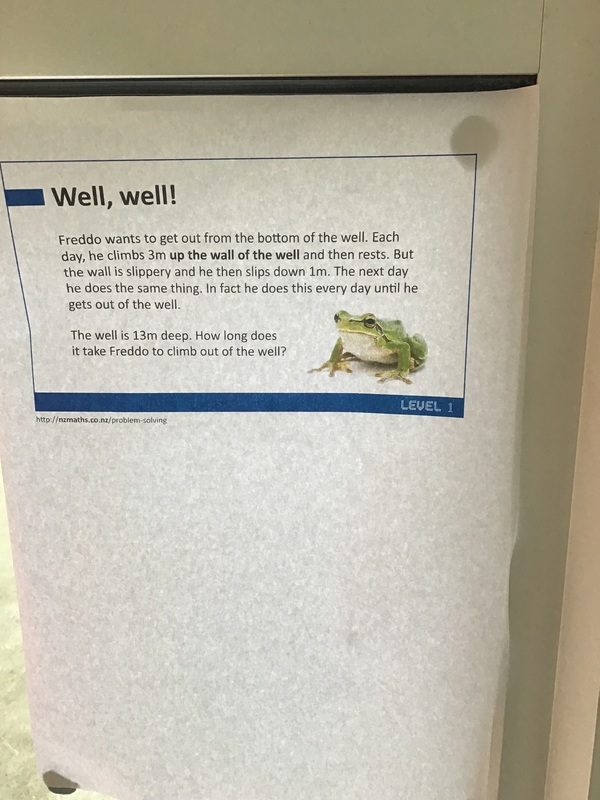 Please ask your child/children to pass these stickers onto their class teacher and we can add it onto our chart which is situated in the foyer! Many thanks! 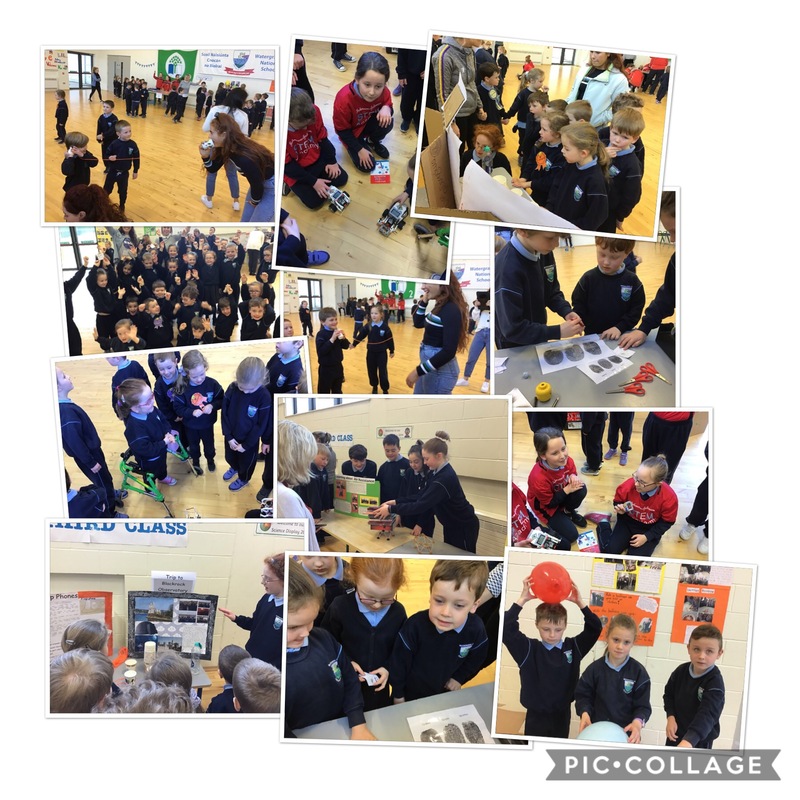 The Be Active ASAP (After School Activity Programme) introduces children to fun physical activity in a safe, familiar, structured setting, with an emphasis on enjoyment, learning and a variety of activity. 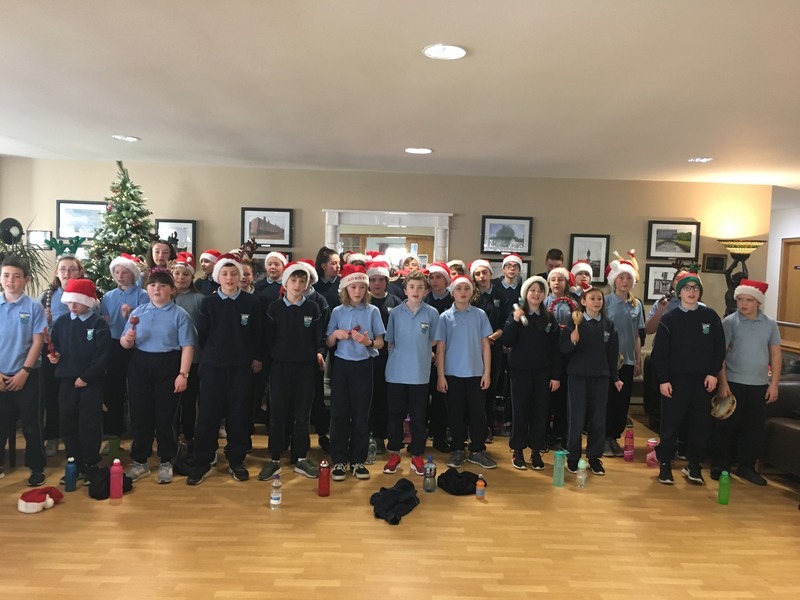 The programme aims to improve the attitudes of both children and their parents towards physical activity and lay the foundation for positive, lifelong physical activity habits. 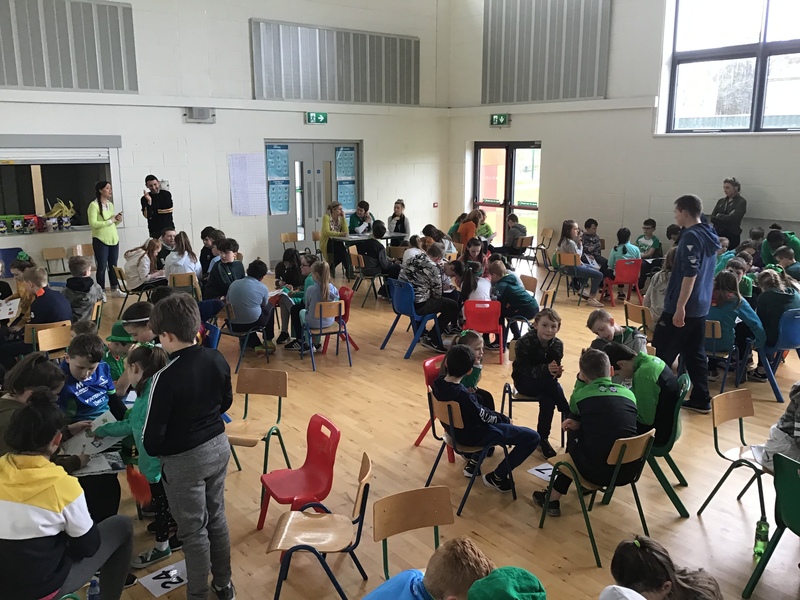 The programme is targeted towards seven/eight-year-olds and takes place for 50 minutes immediately after school once a week. 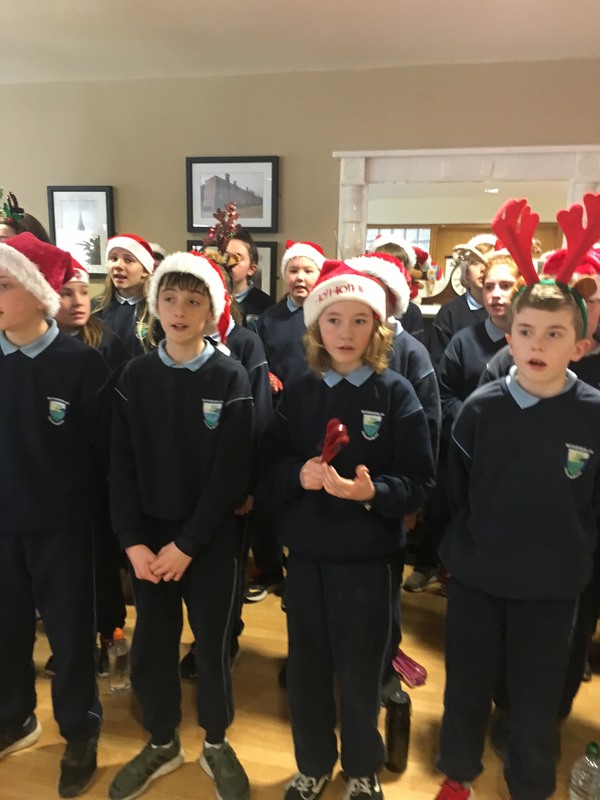 Ms. Mulholland's class participated in this programme before Christmas. 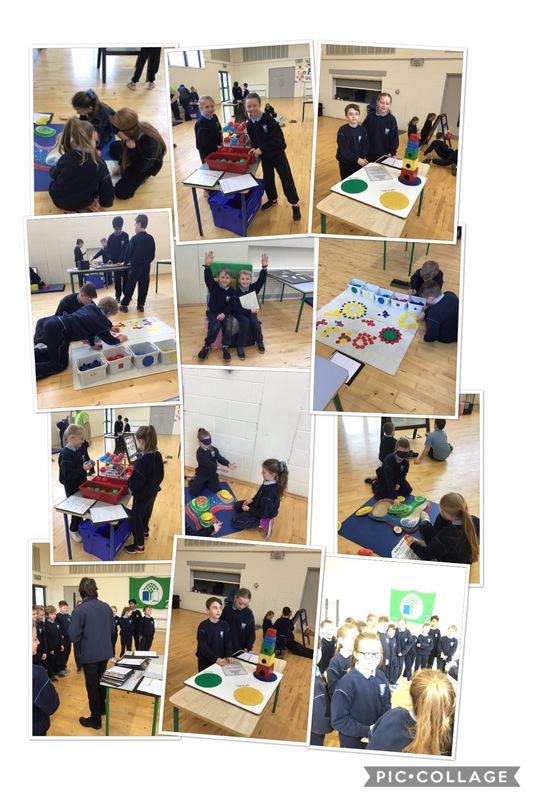 Ms. O'Keeffe's class are participating in this programme from now until Mid-Term. 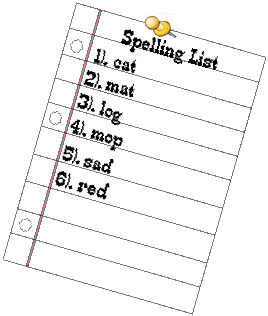 If Santa is bringing some games or devices this year, make sure that, as parents, you have a look yourself with your children. 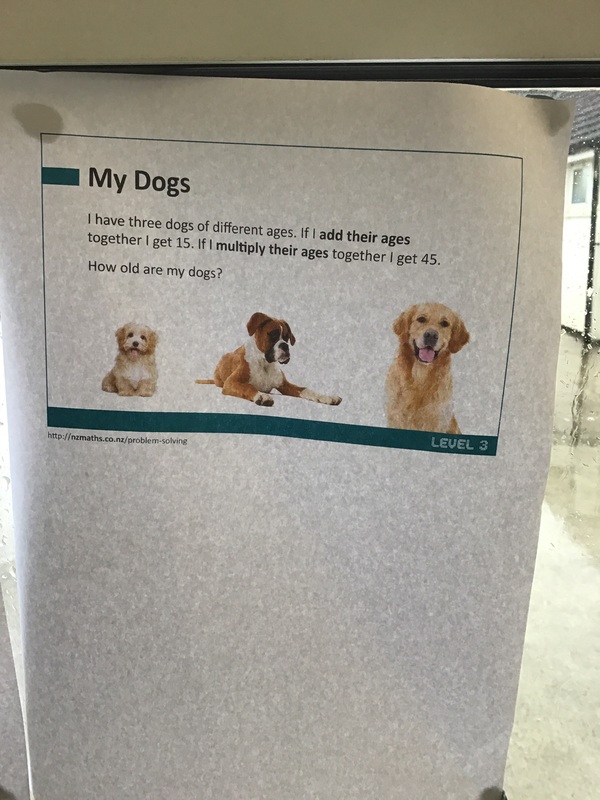 Check the appropriate age recommendations and know what your child is doing online and who they are connecting with. 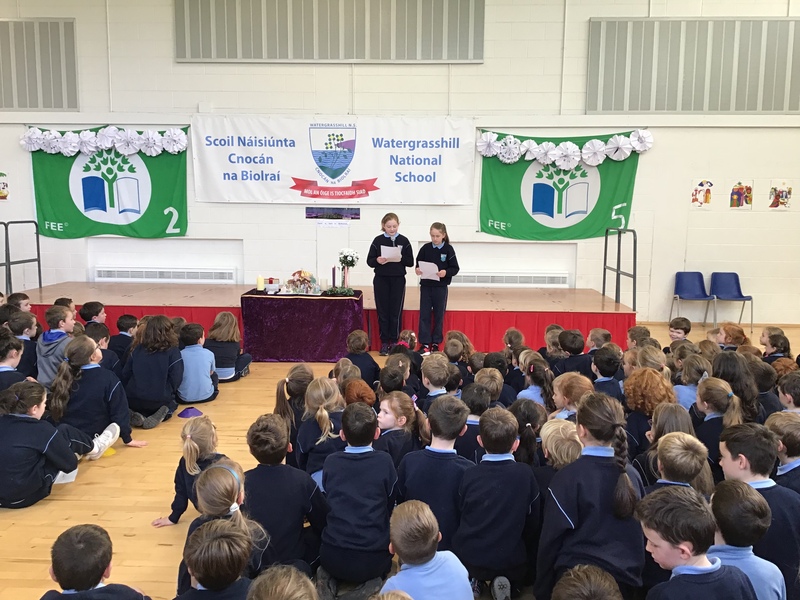 Well done to all the winners of this year's colouring competition!! 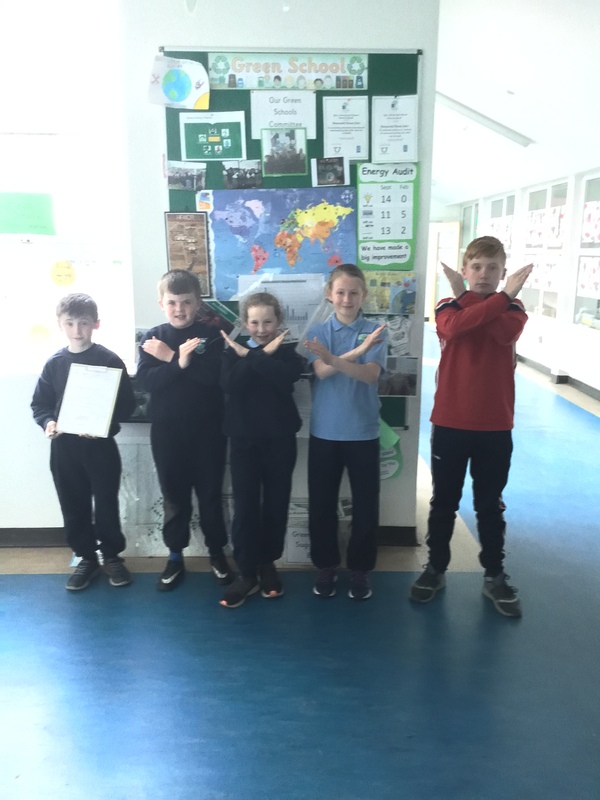 Homework Club will recommenced in Watergrasshill NS on Tuesday 8th January for the 2018/2019 school year. 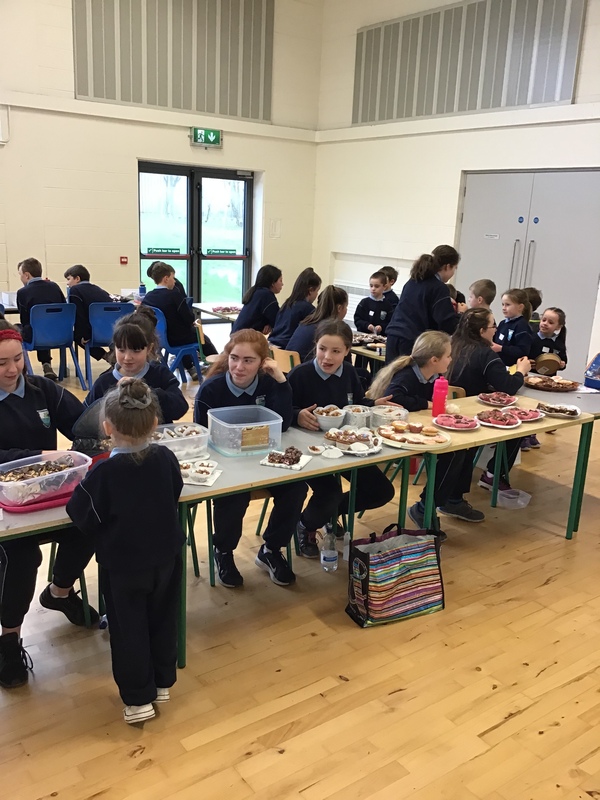 Children from 1st- 6th classes have the opportunity to participate in Homework Club. It is held every Tuesday, Wednesday and Thursday from 3.00pm to 4.00pm. 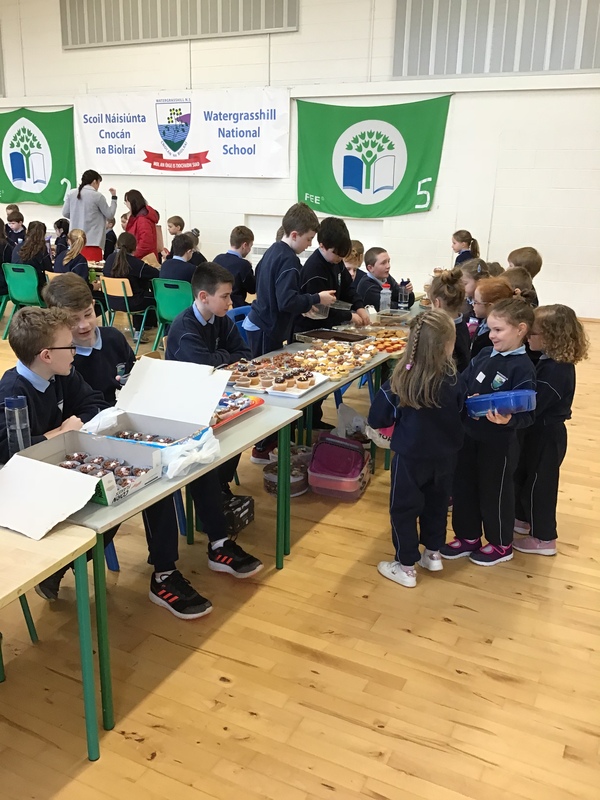 Children will be allowed eat during Homework Club. 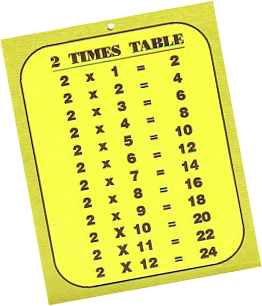 Children can attend Homework Club for as many days as they wish. 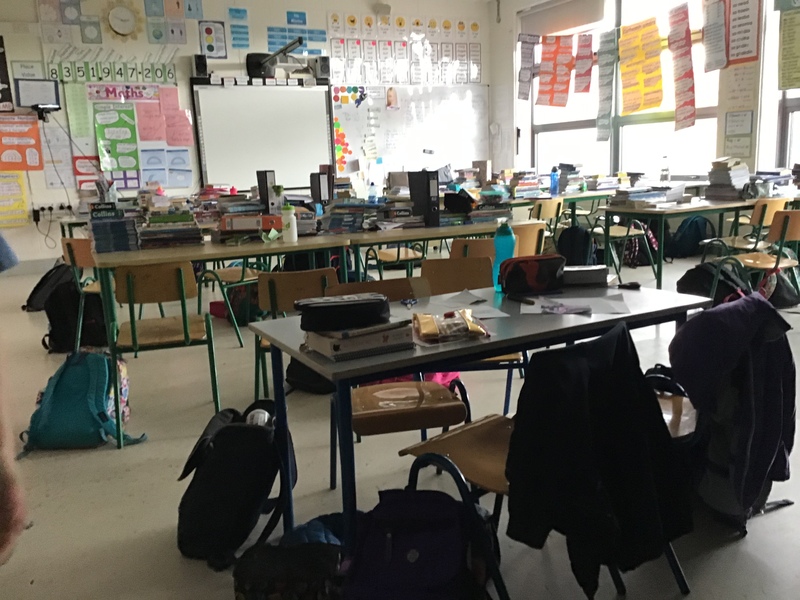 At Homework Club, children will be provided with a quiet and supervised space to complete their homework. 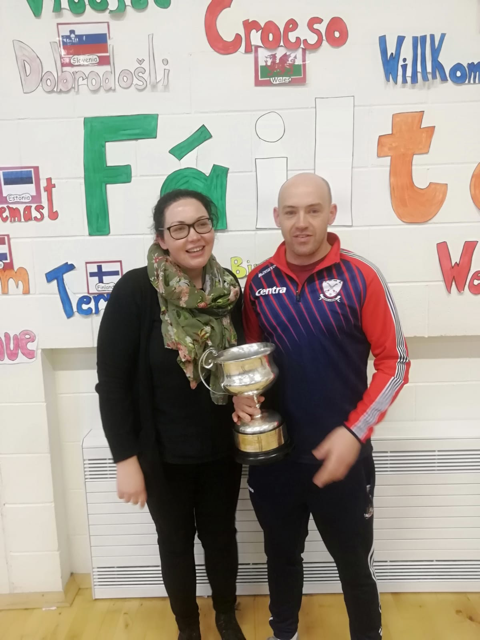 Sciath na Scol hurling and camogie training will take place after the February mid-term. Make sure to get out and practice boys and girls!! The matches will be starting before Easter. 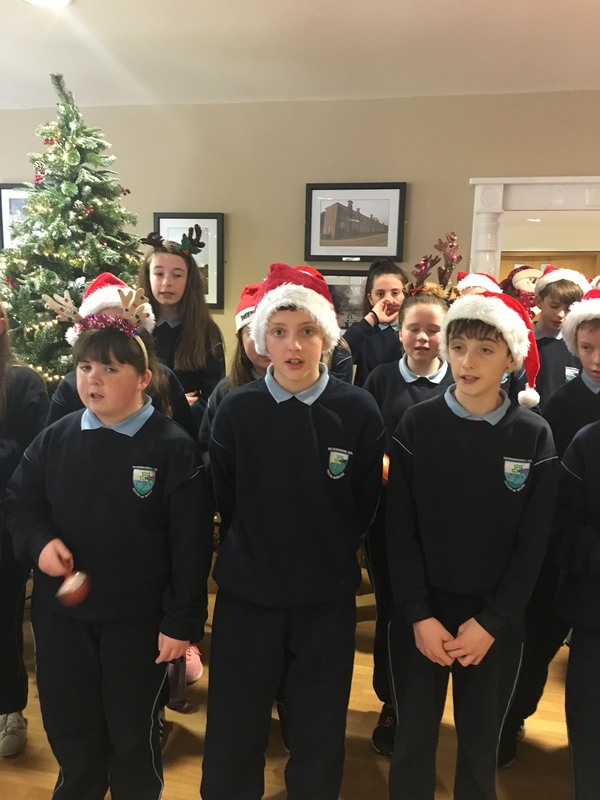 Our annual visit to Fermoy Hospital with our choir took place on Friday 7th December. 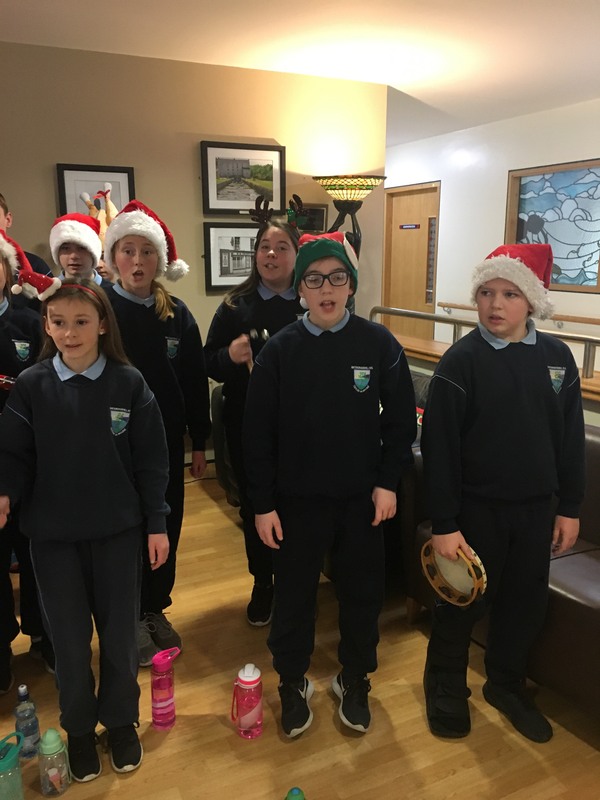 It was a beautiful occasion and everyone at the Hospital was delighted with the range of songs and the quality of the singing from 6th class. Everyone always remembers this very special day. 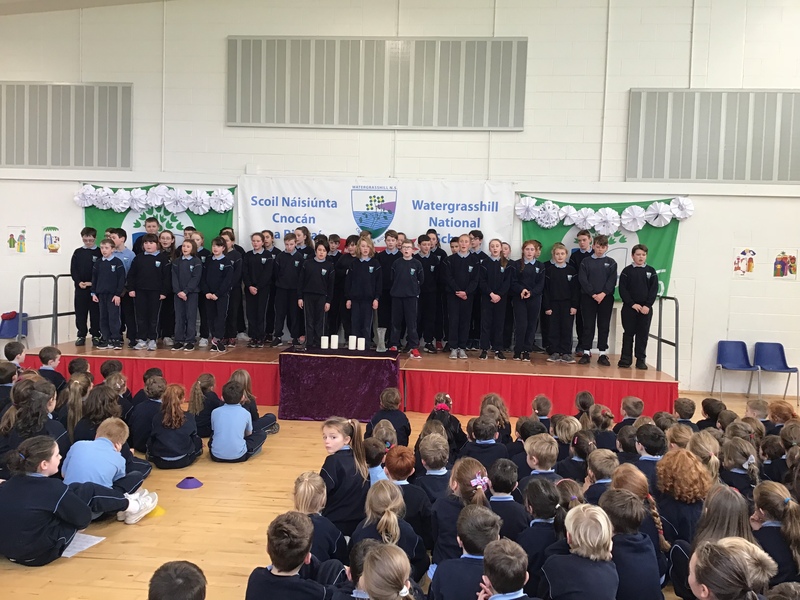 Well done to all the choir, their teachers and everyone else that was involved!! 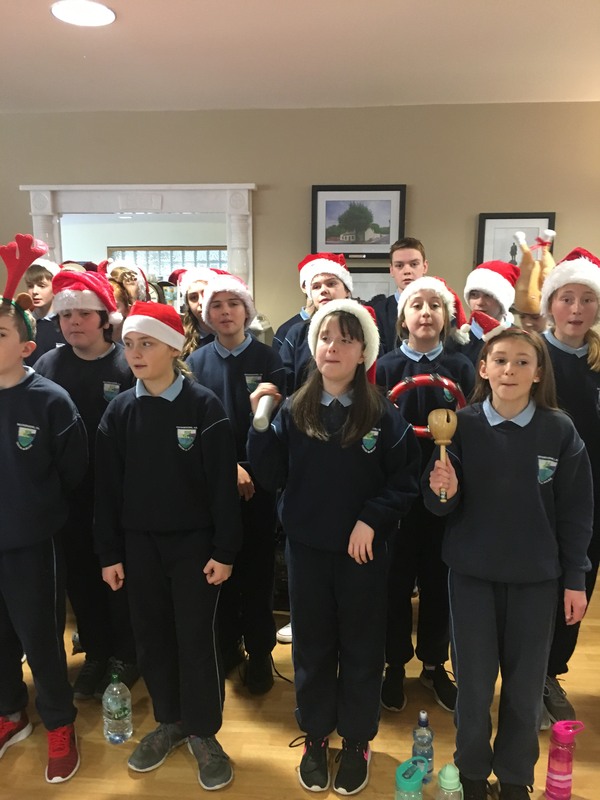 A massive comhghairdeas to all the boys and girls who participated so well in the Christmas Concerts. 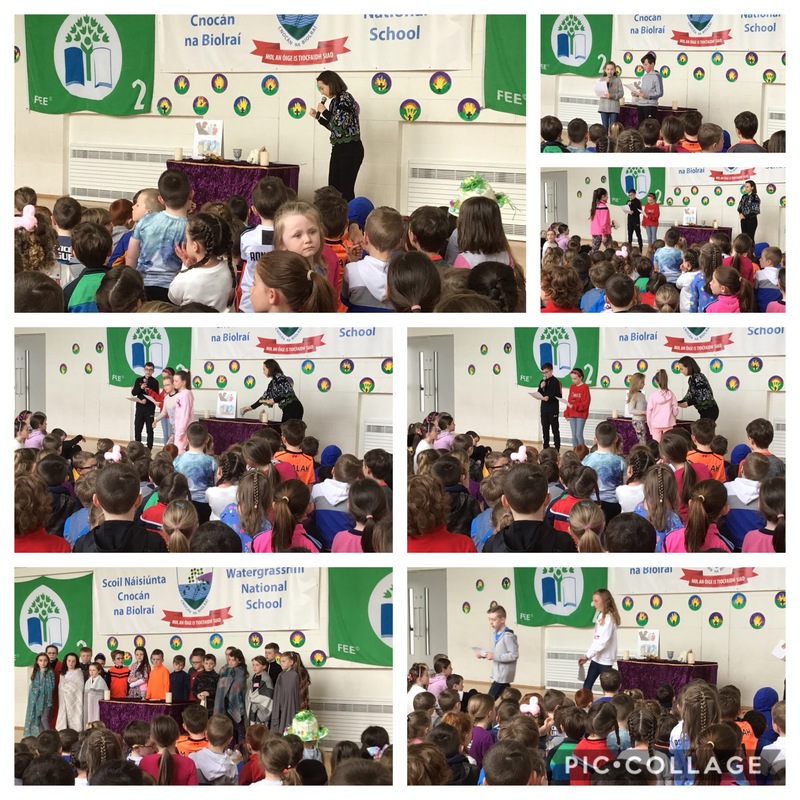 Each and everyone of them perfomed brilliantly and we are all very proud of them! 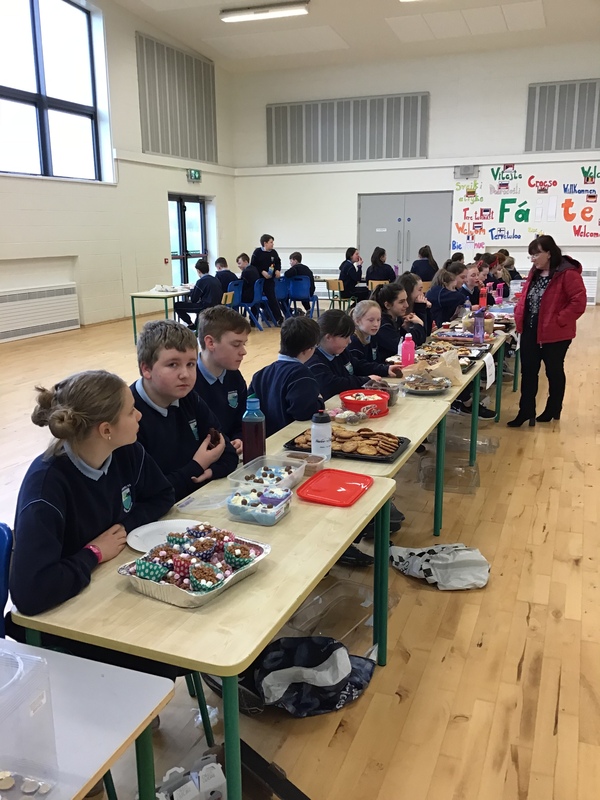 Well done to all the teachers for the hard work they have put in with their classes for the last few weeks. 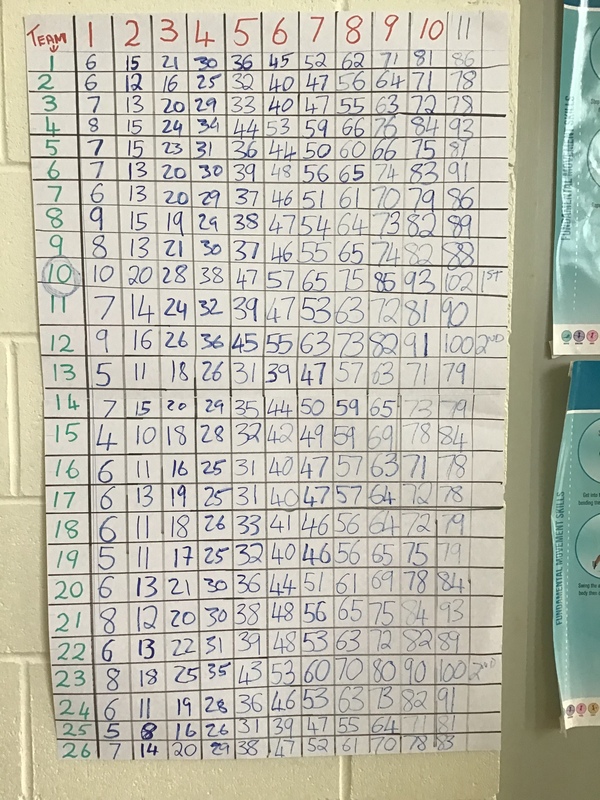 Also, a big, big thank you to Suzanne for preparing each class, as you could see the from each concert, how much time and effort has been put in. 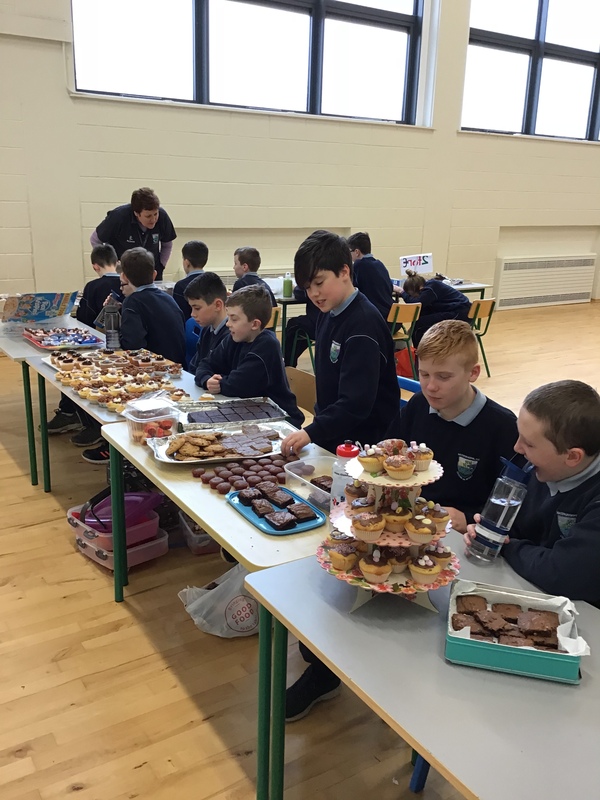 Finally, thank you to the parents for supporting the children on the day and for buying raffle tickets. 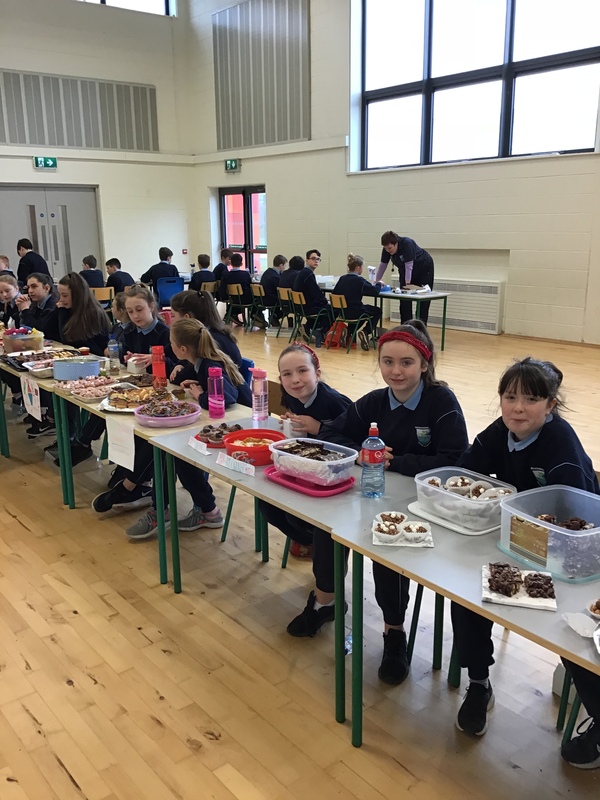 The lucky winners were Eileen Philpott, Lucy Cleary, Mrs. Carroll (who won twice! 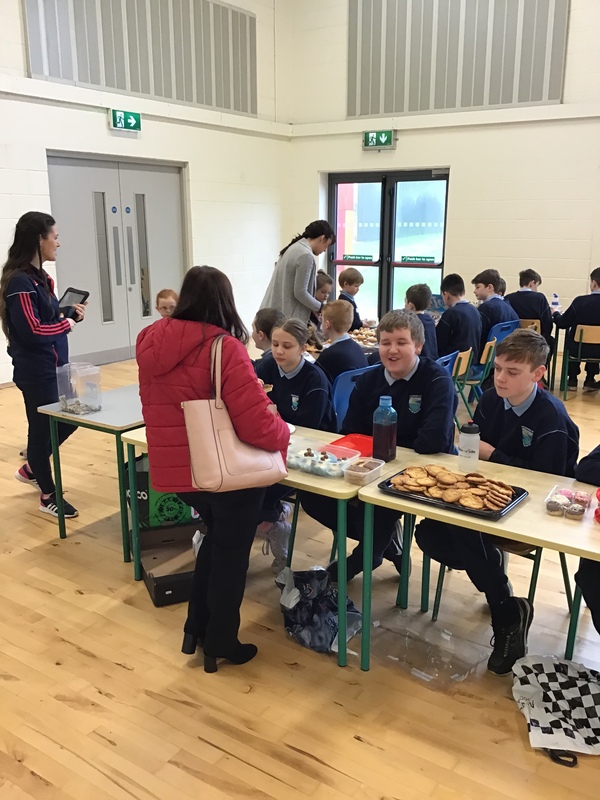 ), Robyn Horan, Mrs. McHugh, John Krol and Selina Wang. Enjoy your prizes!!! 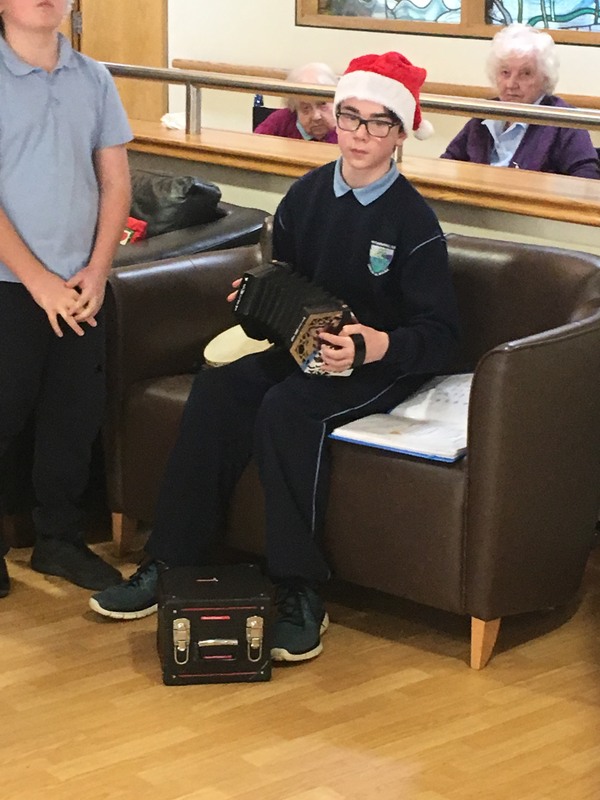 A massive go raibh maith agat to Ms. Warner for holding a wonderful Advent Service in the Halla on Friday December 7th for the whole school. It was a really holy and spiritual occasion. 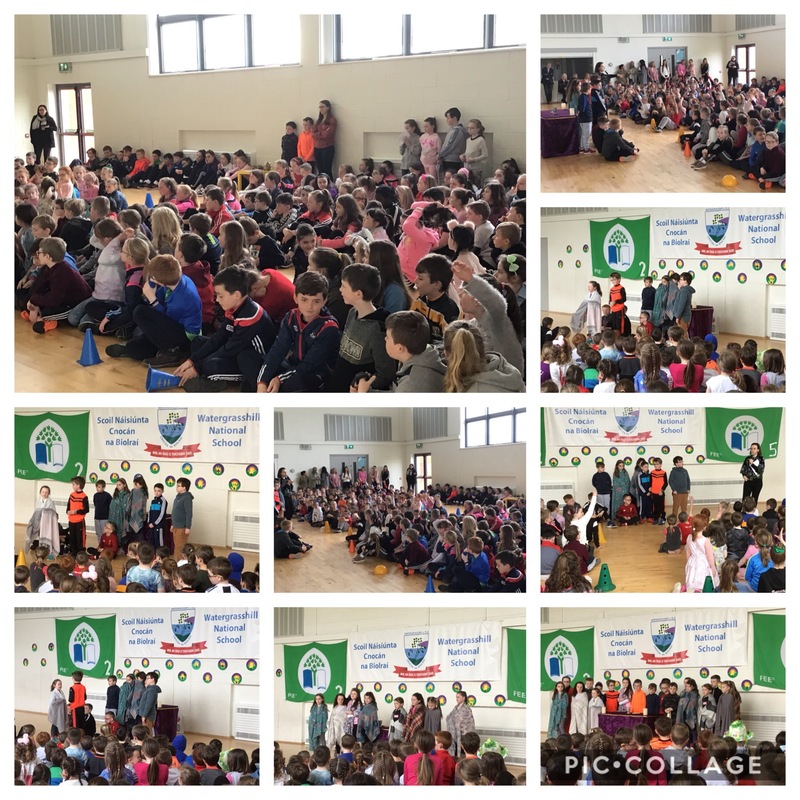 Well done to all the children who sang songs, recited poetry and brought up gifts!!! 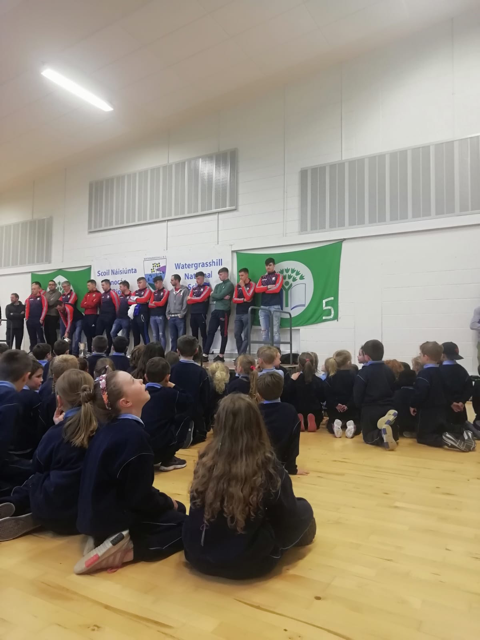 The Watergrasshill Junior county champions visited our school to show us all their trophy and encourage all of the children to keep training hard with the club! 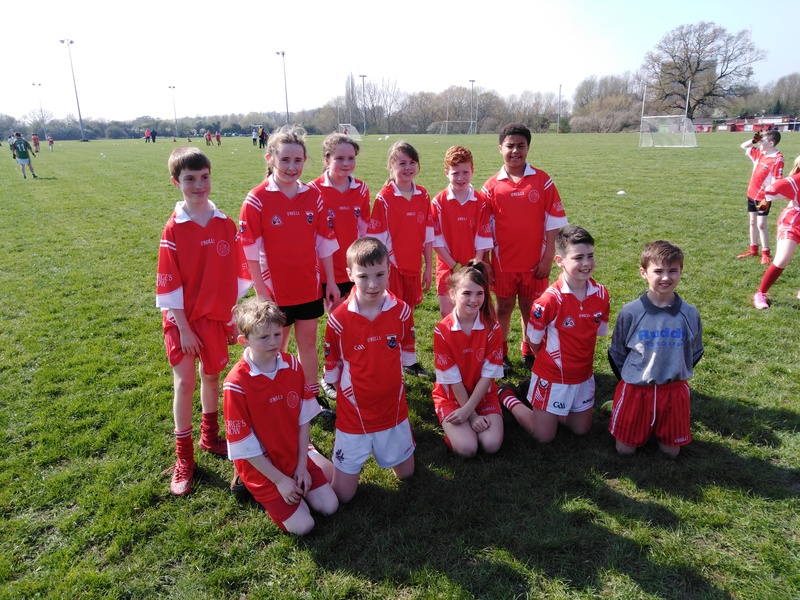 Well done to our Mini 7s team who competed in a competition in Mayfield on October 5th. 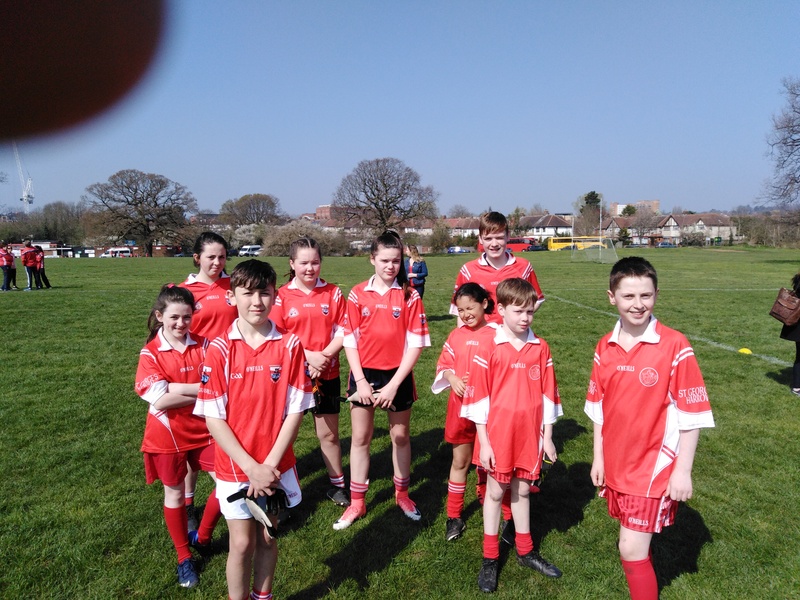 The girls played three matches against GS Mahon, Brooklodge and Carrignavar. 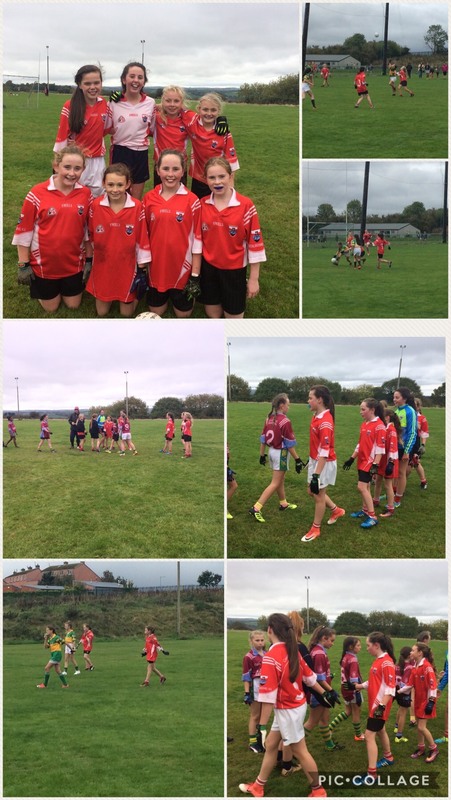 The girls played excellent all day winning two games and narrowly losing out to Carrignavar. 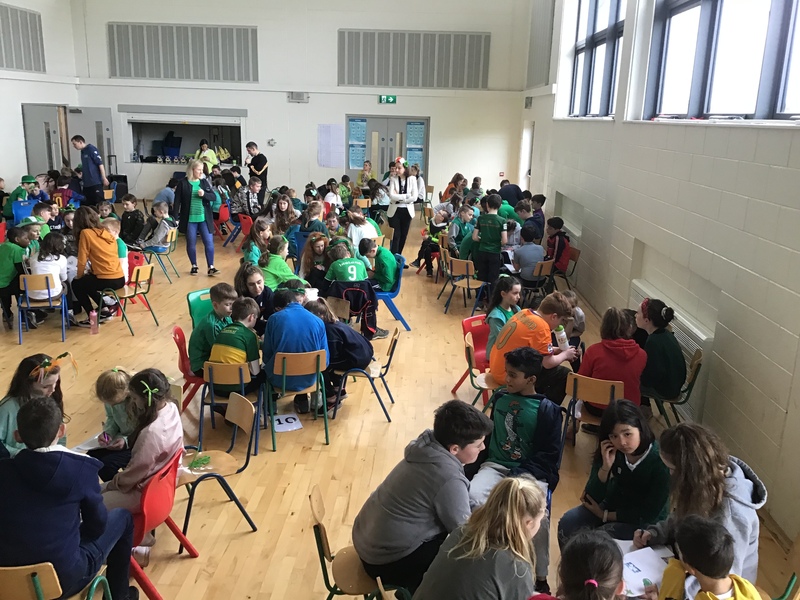 Our team for the day was Kate Darragh, Kate Evans, Emma O' Brien, Ellie O' Sullivan, Eadaoin Treacey, Leanne Murphy, Orla Darragh and Sinead O' Neill. Well done girls!! 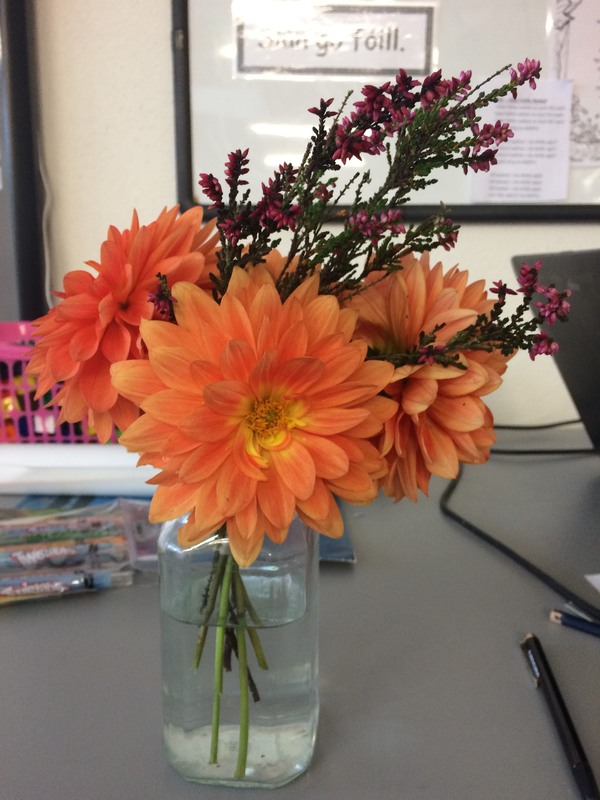 We got a lovely surprise today when a student brought us in these lovely flowers for World Teacher Day! 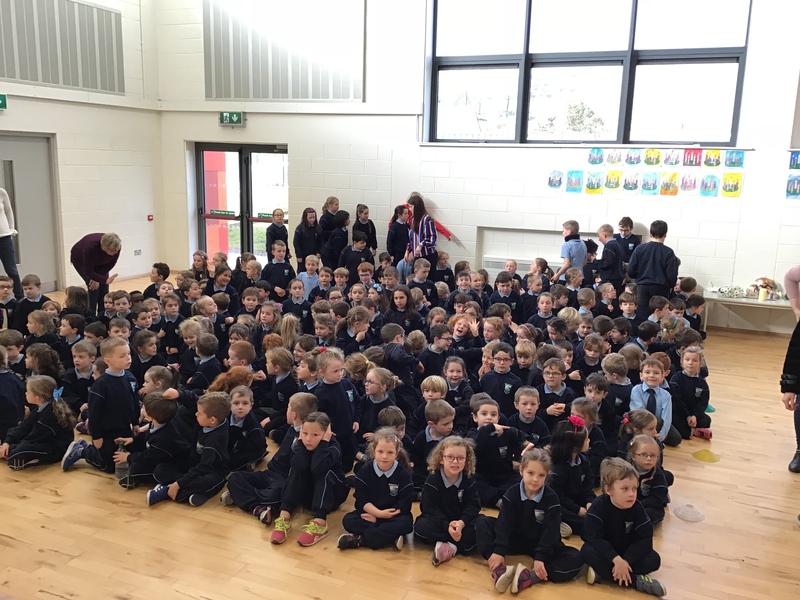 To view the school closures, please click here.